Born in 1968, Dr. Lionel Vayssieres obtained his High School Diploma in Mathematics & Life Sciences in 1986, a BSc. and MSc. in Physical Chemistry in 1989 and 1990, respectively and a Ph.D. in Inorganic Chemistry in November 1995 (after his 1994 military duty as a scientist for the French Navy) from the Université Pierre et Marie Curie, Paris, France for his research work on the Interfacial & thermodynamic growth control of metal oxide nanoparticles in aqueous solutions. Thereafter, he joined Uppsala University, Sweden as a postdoctoral researcher for the Swedish Materials Consortium on Clusters and Ultrafine Particles to extend his concepts and develop purpose-built metal oxide nanomaterials for photoelectrochemical applications as well as to characterize their electronic structure by x-ray spectroscopies at synchrotron radiation facilities. He has been invited as a visiting scientist at: the University of Texas at Austin, USA; the UNESCO Centre for Macromolecules & Materials, Stellenbosch University, and iThemba LABS, South Africa; the Glenn T. Seaborg Center, Chemical Sciences Division, at Lawrence Berkeley National Laboratory (LBNL), CA, USA; The Texas Materials Institute, USA; The Ecole Polytechnique Fédérale de Lausanne (EPFL), Switzerland; the University of Queensland, Australia, and Nanyang Technological University (NTU), Singapore. He was also an independent scientist at the National Institute for Materials Science (NIMS), Tsukuba, Japan for 8 years. He has (co-)authored over 100 publications in major international journals, proceedings, and book series which have generated over 12300+ citations since the year 2000 (4800+ since 2014, Google Scholar); Top 1% Scientists in Materials Science (Thomson Reuters). Essential Science Indicators (March 2014) shows 232 citations per paper for Materials Science and 89 citations per paper for All Fields; All time 8 ESI highly cited papers (5 as first and corresponding author) in Materials Science, Chemistry, Physics, and Environment/Ecology. A single-author 2003 paper No. 1 in the Top 10 hot papers in Chemistry (Jul-Aug 05), No. 2 (Sep-Dec 05) and No. 3 (May-June 05) in the Top 3 hot papers in Materials Science and highest cited paper for the country of Sweden for the last 10 years (Essential Science Indicators). He has been interviewed by In-Cites and by Science Watch in 2006 for this single authored 2003 paper cited now over 3000 times and another time in 2010 for a 2004 highly cited paper in Chemistry cited now over 300 times. Two other first-and-corresponding author 2001 original research papers have already been cited over 1100 times each. A 2012 and a 2006 articles highly cited in Physics and Material Science, respectively have already been cited over 1000 and 700 times each respectively. He has given 408 talks in 33 countries: 206 lectures at international conferences/workshops (57 plenary/keynote, 126 invited, 21 contributed, 2 tutorials) including one of the prestigious MRS Spring Symposium X lecture in 2015 as well as 202 seminars at universities, governmental and/or industrial research institutes. He also acted as an organizer, chairman, executive program committee, and/or advisory member for major international conferences (MRS, SPIE, ACERS, IEEE, TCM...) and for various projects worldwide (UNESCO, IUPAC...). He is, since 2003, a guest scientist at the Chemical Sciences Division, Lawrence Berkeley National Laboratory, the founding editor-in-chief of the International Journal of Nanotechnology (JCR Impact Factor 2013: 1.144) and a referee for 80 SCI journals (Nature, Nature Photonics, Energy Environ. Sci., JACS, Angew. Chemie, Adv. Mater....) as well as for major funding agencies in North America, Europe, Asia, Africa, and South America. He is currently a full professor, chief scientist, co-founder, and scientific director of the IRCRE-International Research Center for Renewable Energy (483+ research articles, 13400+ citations, H index = 55, 22 ESI Highly Cited papers), School of Energy & Power Engineering at Xi’an Jiaotong University, Xi’an, Shaanxi province, P. R. China. He's also the recipient of the 2014 Sanqin and the 2016 National Chinese Government Friendship awards as well as one of the most cited researcher in China in the field of Materials Science in 2014, 2015, 2016, 2017 and 2018 (Elsevier/Scopus) and one of the 2016 American Ceramic Society (ACerS) Global Ambassador award for "his outstanding contributions and leadership to many Society conferences and professional outreach activities towards the global scientific community." Gunnar Westin, Ph.D. 1995 and Docent 1998 at Stockholm University moved his group to Uppsala University during the year 2000 taking a Senior Lecturer position in Chemical nanotechnology. He became a Professor in the same area in 2006. 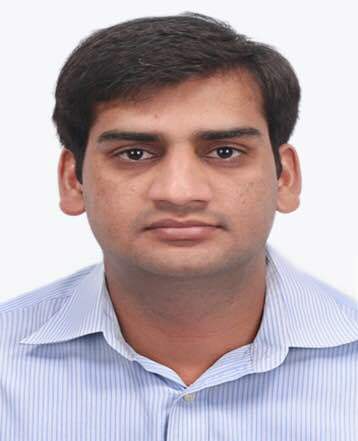 He also held a part time position at ABB Corporate Research in 2002-2003, implementing solution processing. His research stretches from fundamental to applied and involves all steps of solution based materials synthesis; from design of molecular heterometallic alkoxide precursors, via solution processing, to studies of the target ceramic, composite and metallic materials. The focus is on complex composition and shape nanomaterials, such as thin films, ultra thin coatings, sponges and compacts with applications in renewable energy, electro-ceramics, multiferroics and hard materials. Several of the invented processes have been up-scaled together with industry and one is applied globally in large scale; the superior hardness and toughness WC-Co composites used in mining, drilling and infrastructure excavation. Another example of up-scaling is the low cost roll-to-roll process for Ni-Al2O3 nanocomposite films with record high solar thermal absorption efficiency. Westin pioneered the area of sol-gel processing in Sweden during his graduate student time, building a research laboratory and group from scratch after his own ideas. He has been the leader of a large number of academic and industry projects and executive board member and area manager of a competence centre. Westin has published 80+ journal papers, 7 patent families and given 175+ talks (Last 5 years; 40 invited/keynote/tutorial talks at international conferences) He served as a member of the board of directors of the International Sol-Gel Society 2004-2009, is Editorial board member of Int. J. Nanotechnology, Composites B J. and Associate editor of Int. J. Nanoscience, and reviewer for 25+ journals. He has co-/organised 20+ international conferences and served in review panels in Sweden and Europe and reviewed applications for grants and positions for a number of international Science organisations. Sanjay Mathur is the Director of the Institute of Inorganic Chemistry at the University of Cologne, Cologne, Germany. His research interests focus on various facets of chemical nanotechnologies. He holds five patents and has authored/co-authored over 220 original research publications and has edited several books. He is a Titular Member of the Inorganic Chemistry Division of International Union of Pure and Applied Chemists (IUPAC) and serves as the Chair of Engineering Ceramics Division of the American Ceramic Society. A member of the Advisory Board of the Federation of German Materials Science (DGM) and also serves on the Advisory Committees of a number of international societies, and research institutions, he also serves on the Board of the German Chemical Industries Network CHEMCOLOGNE and an appointed member of the Technical Advisory Board of the global company Henkel. He is currently the Fellow of ACerS, meanwhile, he is also rewarded as World Class University Professorship at the Chonbuk University, Korea. He is a member of the Inorganic Chemistry Division of International Union of Pure and Applied Chemists (IUPAC) and a member of the ISO Technical Committee 229 on Nanotechnologies. He serves as Associate Editors for International Journal of Applied Ceramics Technology, International Journal of Nanoscience and Nanomaterials. He is the Principal Editor of J. Mater. Research (MRS). He is also on the Editorial Boards of Journals Ceramics International, International Journal of Nanotechnology, Materials, Journal of Ceramic Science and Technology, Journal of Electroceramics and NanoEnergy. Prof. Mathur currently serves as the Chair of Engineering Ceramics Division of the American Ceramic Society. He is an Academician of the World Academy of Ceramics. He has been nominated as the “International Ambassador” of the University of Cologne to foster international collaboration. 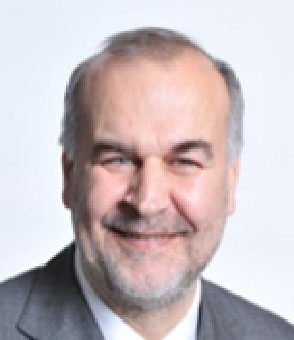 He is a member of the Advisory Board of the Federation of German Materials Science (DGM) and also serves on the Advisory Committees of a number of international societies, and research institutions. He is also on the Board of the German Chemical Industries Network CHEMCOLOGNE and an appointed member of the Technical Advisory Board of the global company Henkel. He is appointed on the Review Advisory Panel of the CSIR, South Africa since 2009. He had organized several international and national conferences and Symposia. He has got several awards including the fellowships of the Alexander von Humboldt Foundation, and the stipend of the Federation of German Chemical Industries for excellence in research. 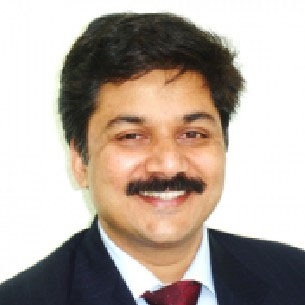 He was an ASM International-Indian Institute of Materials (ASM-IIM) visiting lecturer for 2009. He was given the Global Star Award (2010) of the ECD of American Ceramic Society. He holds Visiting Professorships at the Central South University, China and National Institute of Science Education and Research (NISER), India. Association with IUPAC: He was a Young Observer at the 42nd IUPAC General Assembly, Ottawa, August 2003. Following this he served as the member of Inorganic Chemistry Division as National Representative, Associate Member, and Titular Member. He has been an active member of the Materials Sub-committee and was the Co-organizer of WAM –III in 2005 in Stellenbosch, South Africa. He is currently the Secretary of the Interdivisional Materials Subcommittee. He was Co-chairman of the IUPAC Project on “Terminology in Nanotechnology” (2008-2010). Professor Samuel S. Mao, Director of Clean Energy Engineering Center, is a career staff scientist of Lawrence Berkeley National Laboratory and an adjunct professor of the University of California at Berkeley. He received his Ph.D. degree from the University of California at Berkeley in 2000, and since then he has been leading a multidisciplinary research team developing clean energy technologies as well as studying enabling materials science and ultrafast laser technology. He has published over a hundred peer-reviewed journal articles, which have received more than 10,000 citations. He is a frequent speaker at many leading universities and has delivered invited speeches at more than 50 international conferences. He has served as a technical committee member, program review panelist, grant proposal reviewer, and national laboratory observer for the U.S. Department of Energy. He is also an expert reviewer for agencies such as the National Science Foundation and the Department of Defense in the U.S., and the governments of Japan and Canada. He was a founding co-chair/organizer of the 1st International Conference on Energy Nanotechnology, the 1st International Symposium on Transparent Conducting Materials and the 1st International Workshop on Renewable Energy. He was a general chair for the 2011 Spring Materials Research Society (MRS) Meeting, and a co-chair of the 2012 International Conference on Clean Energy. He is the recipient of the 2011 R&D 100 International Technology Award. Prof. Liejin Guo received his Ph.D. in Power Engineering and Engineering Thermal Physics of Xi’an Jiaotong University. His research interests focus on the laws of multi-phase flow and heat and mass transfer in high efficient clean energy-power system and heat-work conversion process, physical theory and key technologies in exploitation and mixed transportation of oil and gas, high efficient transformation of renewable energy such as solar energy and biomass energy, mass production and use of hydrogen energy. He has been principal investigator for tens of projects funded by state, province or ministries. The National Basic Research Programs (“973 Program”), named as Basic Research of Mass Hydrogen Production Using Solar Energy and has been awarded twice. He also has been sponsored with NSFC major program, key program, State and important national science & technology specific projects from “9th Five-Year Plan” to “12th Five-Year Plan”, etc. He has been serving as member of Scientific Committee of the International Centre for Heat and Mass Transfer (ICHMT), Corresponding member of the International Information Center for Multiphase Flow (ICEM), member of Chinese expert team of International Partnership for Hydrogen Economy (IPHE), overseas reviewer of EPSRC, member of the International Association for Hydrogen Energy (IAHE), and member of ACS. He is also a member of consultant expert team of NSFC for Engineering Thermophysics and Energy Utilization, vice director and member of Engineering Department 1 of Scientific Committee of MOE, member of Board of Directors and Director of Specialty Committee of Multiphase Flow in Chinese Society of Engineering Thermophysics, committee member of Chinese Renewable Energy Society and Standing Director of Chinese Association of Hydrogen Energy, committee member of Chinese Society of Desert. Prof. Liejin Guo has been awarded with Second Class Prize of National Natural Science Award in 2007, First Class Prize of Shaanxi Provincial Technical Innovation Award in 2007, First Class Prize of MOE Natural Science Award in 2006, First Class Prize of Shaanxi Provincial Natural Science Award in 2003, as well as another 4 Second Class Prizes of MOE Scientific and Technological Progress Award in 1991, 1996, 1997 and 1998. Prof. Liejin Guo aslo has published more than 400 papers in journals and conferences, given over 30 invited or keynote lectures in international conferences. He participated in the compiling of 6 handbooks, one of which, 《Handbook of Chemical Engineering (2nd E)》, received the First Prize of National Book Award in 1997. He also published 1 academic book, 《Dynamics of Two-phase and Multiphase Flow》, on his own. 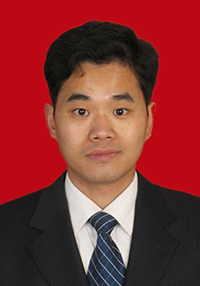 Dr. Hongtan Liu is an international expert in the fields of conversion and utilization of solar energy and fuel cell. He obtained his Ph.D. in Engineering from the University of Miami in 1993. Dr. Liu is a co-author of a monograph and has published more than 40 papers in prestigious journals such as Journal of Power Source, including 23 papers that are related to the field of the research of Fuel Cell and 21 papers that were cited as many as 440 times by Science Citation Index (SCI), meanwhile he has published more than 68 papers in famous international academic conferences and has invited reports 9 times. 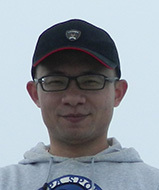 In addition to his scholastic achievements with outstanding research credential, Dr. Liu has also been serving an editor of International Journal of Hydrogen Energy, a member of ASME as well as IAHE, a project reviewer of National Science Foundation and a reviewer of a variety of international academic journals. 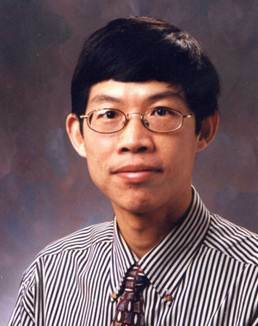 Dr. Guoxiang Wang is presently a Tenured Professor of Department of Mechanical Engineering in the University of Akron. He received his Ph.D. from the University of California at Santa Barbara in 1995, his commitment research mainly on theory and application research of some disciplines that are related to Engineering Thermophysics, Nonequilibrium phase transition, Rapid Solidification, Crystal Growth, Materials Science and Engineering and Biomedical Engineering. Besides he has published 79 papers in international conferences, Dr. Wang has authored a monograph and has published 52 papers in major international journals which have already generated 683 citations, of which 410 have been cited by others. In the social service aspect, Dr. Wang has been serving as a member of TMS “Solidification committee”, as a member of ASME K-15 Committee, as a chapter president in some important international conferences many times and as a foundation discussant U.S. National Science. T.S. Zhao is presently a Chair Professor of Mechanical Engineering at HKUST and Director of the HKUST Energy Insitute. His academic career started with a Bachelor’s and a Master’s degree, both in Engineering Thermo-physics, respectively, in 1983 and in 1986, from Tianjin University, China, followed by a Ph.D. degree at the University of Hawaii, USA, in 1995 with Professor Ping Cheng. Professor Zhao is an internationally renowned expert in energy engineering and is distinguished for his seminal contributions in the areas of fuel cells, multiscale multiphase heat and mass transport with electrochemical reactions, and computational modeling. He has published more than 170 papers in prestigious journals in the fields of energy science and engineering. His 16 papers are in the list of the ESI highly cited papers. The outstanding level of his scientific research has been recognized by many recent awards, including the Most Cited Article Award for a paper published in Electrochemistry Communications and for another two in Electrochimica Acta, the Overseas Distinguished Young Scholars Award from the Natural Science Foundation of China (NSFC), the Croucher Senior Fellowship award from the Croucher Foundation, and the Yangtze River Chair Professorship from the Chinese Ministry of Education. In addition to his scholastic achievements with outstanding research credential, he has also received many teaching excellence awards, including the Bechtel Foundation Engineering Teaching Excellence Award from the HKUST. He is a Fellow of the American Society of Mechanical Engineers (ASME). In the international community, Prof. Zhao serves as Editor of the Royal Society of Chemistry (RSC) Energy & Environment Series, Regional Editor of Applied Thermal Engineering, and has been a member of the editorial board for more than 21 international journals. Dr. Fevzi Daldal is a professor of University of Pennsylvania in America that partly stems from his excellent educational background. After he received his Ph.D. from University of Strasbourg in France in 1997, he started his Post-Doc. 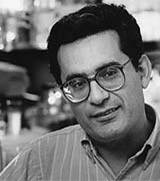 career in Harvard Medical School and then joined in Cold Spring Harbor Laboratory as a scientist. The research interests of Dr. Daldal mainly focus on photosynthetic and respiratory electron transfer pathways and structure, function and biogenesis of cytochrome complexes. In addition, he is a member of Turkish Academy of Science, a fellow of American Academy of Microbiology, a fellow of American Association for the Advancement of Science as well as a Deutscher Akademischer Austausch Dienst (DAAD) Alumnus. Chenn Qian Zhou, a director of Department of Mechanical Engineering in Purdue University Calumet. She was awarded Ph.D. degree by Carnegie Mellon University in 1991. Since then her research interests mainly focus on Numerical Simulation of Multiphase Reacting Flow, Computational Fluid Dynamics, Spray, Combustion, Heat Transfer, Nox, Sox and the Forming and Control of Other Air Pollutions. She has published more than 130 papers and holds three software copyrights. She is committed to the development of the latest computational fluid dynamics model and brings this technology to a variety of industrial application, which improves the service period and energy efficiency of steel melting furnace, some of theories of multiphase flow, such as the transportation of solid particles, fluidized particles and absorption of Nox, are applied to the control models for combustion pollutants groundbreaking, which reduces the emission of large industrial combustion equipment. This outstanding woman won the prize of Josef S. Kapitan of American Steel Technology Association and the prize of R&D 100 of R&D magazine from USA. 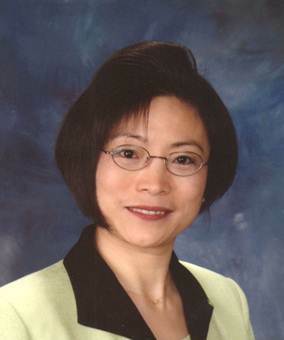 Additionally, Dr. Chenn Qian Zhou is also a fellow of American Society of Mechanical Engineers, she was awarded the prize of Distinguished Teaching and Distinguished Research from Purdue University and a prize of American Society of Technical innovation invention. Dr. Liang-Shin Fan received his Ph.D. in West Virginia University in 1975. The main research fields of Dr. Fan are clean fossil energy conversion systems, powder technology, particles multiphase flow reaction engineering, microstructure of particles and multiphase flow system, multiphase computational fluid dynamics and other fields of basic science and engineering research. Within several decades, Dr. Fan has written or edited 14 monographs (19 chapters in all); he is the author of 13 patents; he has published more than 290 journal articles and more than 250 proceedings papers. 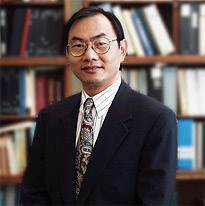 As a distinguished professor in the Ohio State University, Dr. Liangshin Fan also is honored kinds of social titles: to be elected a foreign member of Chinese Academy of Engineering in 2009; to be named one of the most 100 distinguished Chemical Engineering experts in 2008; to obtain E.V. Murphree Engineering Chemical Award of American Chemical society in 2008; to be a corresponding member of Mexican Academy of Sciences in 2006. Born in 1968, Professor Wang was awarded Ph.D. in June of 1998, thereafter, he continued his postdoctoral at Kyushu University, Japan. 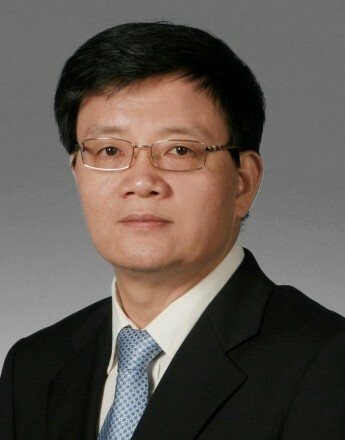 He is currently the secretary of Academic Committee of State Key Laboratory of Multiphase Flow in Power Engineering, School of Energy & Power Engineering, Xi’an Jiaotong University. 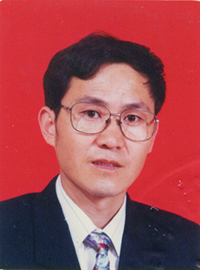 Professor Wang served as the project leader of 863 sub-projects. Professor Wang mainly focus on those fields: vapor-liquid two-phase flow and heat transfer characteristics, new energy and efficient solar thermal utilization, research and design on cooling efficient microelectronic components and its micro-channel with a high energy density, studies on the flow characteristics of storage and transportation of oil and gas and its sub-phase flow measurement, some thermophysical problems on preparation of porous mental materials. Professor Bai achieved his Ph.D. at Xi’an Jiaotong University, 1999. He not only is the director and academic secretary of Chinese Society of Engineering Thermophysics Committee, but also is the candidate of Program for New Century Excellent Talents in University of Ministry of Education of China. Meanwhile, he is the committee of Heat exchanger Equipment Sub-Committee of Pressure Vessel Standardization Technical Committee. Professor Chen, the vice director of State Key Laboratory of Multiphase Flow in Power Engineering, the candidate of Program for New Century Excellent Talents in University. He was employed by National Maritime Research Institute of Japan as a postdoctoral researcher from 2003 to 2004, he has worked at Xi’an Jiaotong University since 1996, he served as the deputy head of multiphase flows professional group of Society of Fluid Mechanics Branch of China, the member of Society of Chemical Engineering of Japan and the member of Society of Engineering Thermophysics of China. Professor Chen has been working on those fields: fundamentals and basic and theoretical applications research of Multiphase Flow, construction of two-phase turbulence model, unstructured mesh generation technology, the interface capturing algorithm and biomedical Multiphase Flow research. Professor Wei received his Ph.D. in Kyushu University, Japan. He was employed by National Advanced Institute of Science and Technology, Tsukuba, Japan. He is also the candidate of Program for New Century Excellent Talents in University, meanwhile he is the winner of China National Funds for Distinguished Young Scientists. Dr. Wei was a co-author of Process Fluid Machinery which was published by Chemical Industry Press of China, 2001. His mainly focus on Two-phase flow and non-Newtonian flow in pump impeller, pipeline fluid flow drag reduction technology and cooling electronics with boiling heat transfer enhancement technology. 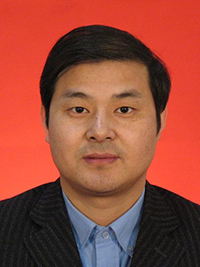 Professor Liang Zhao was born in May of 1971, is one of the youngest professor and Doctoral tutor in Xi’an Jiaotong University. He achieved National Natural Science Award in 2007, he also was awarded as a outstanding young Doctor of engineering. 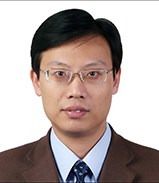 Dr. Zhao is currently the vice director of State Key Laboratory of Multiphase Flow in Power Engineering, School of Energy & Power Engineering at Xi’an Jiaotong University. His research interests are mainly in multiphase flow and heat transfer, conversion and utilization of renewable energy and hydrogen energy systems. Dr. Jing was born in 1977, he received his Ph.D. in 2007, thereafter he has been engaged in new energy-related teaching and research work. he is currently a full professor of IRCRE, State Key Laboratory of Multiphase Flow in Power Engineering, School of Energy & Power Engineering at Xi’an Jiaotong University. Dr. Jing has been working on those fields: solar hydrogen and power systems related with hydrogen energy, new energy materials and research on their properties. 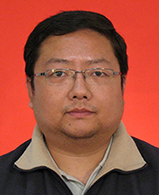 Dr. Youjun Lu achieved his Doctor Degree at Xi’an Jiaotong University in 2007. He is currently a full professor of IRCRE, State Key Laboratory of Multiphase Flow in Power Engineering, School of Energy & Power Engineering at Xi’an Jiaotong University. Dr. Lu was granted as the winner of Excellent Doctoral Dissertation of China, he is also awarded as a candidate of Program for New Century Excellent Talents in University by Ministry of Education. Dr. Lu has a national patent which is apparatus and method of hydrogen production by partial oxidation and gasification of biomass waste supercritical water fluidized bed. Dr. Shen received his Ph.D. at Xi’an Jiaotong University in 2010, then he continued his postdoctoral at University of California at Berkeley from November, 2011 to October, 2012. He is currently a full professor of IRCRE, State Key Laboratory of Multiphase Flow in Power Engineering, School of Energy & Power Engineering, Xi’an Jiaotong University. 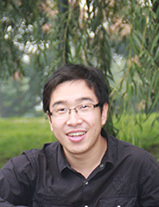 Dr. Shen was the winner of the National Excellent Doctoral Dissertation, 2012. He has published more that 50 papers in Chemical Reviews, Nature Photonics, etc., and recieved more than 2200 citations. His research interests include synthesis of nanomaterials and development of devices for photocatalytic and photoelectrochemical solar energy conversion. He served as the reviewers of more than 30 international journals, including Journal of the American Chemical Society, Energy & Environmental Science, etc. Dr. Chen received her Ph.D. in Nara Women’s University, Japan. She was employed as assistant professor in Nara Women’s University. She is currently an associate professor of IRCRE, State Key Laboratory of Multiphase Flow in Power Engineering, School of Energy & Power Engineering, Xi’an Jiaotong University. Dr. Chen served as a reviewer for many international journals, such as Journal of Power Source, International Journal of Hydrogen Energy, Journal of Material Science, International Journal of Photoenergy, Carbon, Polymer. She mainly focus on Microbial fuel cell and Environmental & Green Catalysis. Dr. Huang received his Ph.D at Tsinghua University 2008. he is currently an associate professor of IRCRE, State Key Laboratory of Multiphase Flow in Power Engineering, School of Energy & Power Engineering at Xi’an Jiaotong University. Dr. Huang served as the members of editor boards of The Scientific World Journal: Energy (2013-), Advances in Energy and Power Engineering (2013-), International Journal of Energy Research (2010-2012) and the reviewers of Journal of Power Sources, Electrochemistry Communications, International Journal of Hydrogen Energy, Journal of The Electrochemical Society, Materials Chemistry and Physics, Solid State Sciences, Journal of Nanomaterials. Dr. Huang mainly focuses on those fields: solid state ionics in nano/micro composite materials, intermediate temperature fuel cells, catalysis in hydrogen production by thermochemical water decomposition. Dr. Marco Fronzi received his Laurea in Physics and successively his PhD in Computational Material Science at Tor Vergata University in Rome (Italy). He is currently an associate professor of IRCRE, State Key Laboratory of Multiphase Flow in Power Engineering, School of Energy & Power Engineering at Xi’an Jiaotong University. In 2010 he was awarded of the Japan Society for the Promotion of Science (JSPS) Fellowship to conduct research at the MANA centre of the National Institute for Materials Science. During the course of his career he has held research positions with a range of research and academic institutes across the world, including Osaka University and National Institute for Material Science in Japan, University of Sydney in Australia, University of Tor Vergata in Italy, and Tyndall National Institute in Ireland. His research focuses on the application of theoretical/computational methodologies to understand and predict properties of complex materials of technological interest. Mingtao Li received his Ph.D. at Xi’an Jiaotong University, Xi’an, China in 2010. 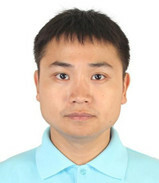 He is currently an associate professor of International Research Center for Renewable Energy, State Key Laboratory of Multiphase Flow in Power Engineering, School of Energy & Power Engineering, Xi’an Jiaotong University; he has been a postdoctoral at University of North Texas from August, 2012-July, 2014. Dr. Li mainly focuses on those fields: conversion and utilization of renewable energy, photocatalysis and photoelectrochemical hydrogen, application of carbon nanomaterials in the energy fields. Jinzhan Su received his Ph.D. degree at Xi'an Jiaotong University, Xi'an, China in 2011. From Oct. 2008 to Sep. 2010, he worked as a visiting scholar in the Pennsylvania State University, PA, United States. He is currently an associate professor in the International Research Center for Renewable Energy, State Key Laboratory of Multiphase Flow in Power Engineering, Xi'an Jiaotong University, China. His current research focuses on one dimensional nanostructural semiconductor for energy conversion and photoelectronics. Dr. Jin was awarded Doctor degree by Xi’an Jiaotong University in 2011. He is currently an associate professor of International Research Center for Renewable Energy, State Key Laboratory of Multiphase Flow in Power Engineering, School of Energy & Power Engineering, Xi’an Jiaotong University. His current research mainly focuses on efficient and clean utilization of coal. Assoc. Prof. Dr. Jinwen Shi received his BS degree of Environmental Engineering (Jul. 2005) and his Ph.D. degree of Power Engineering and Engineering Thermophysics (Jun. 2012) under the supervision of Prof. Liejin Guo at Xi'an Jiaotong University, Xi'an, China. He worked as a visiting Ph.D. student (Oct. 2008~Sep. 2009) under the supervision of Prof. Jinhua Ye at National Institute for Materials Science in Tsukuba, Japan. 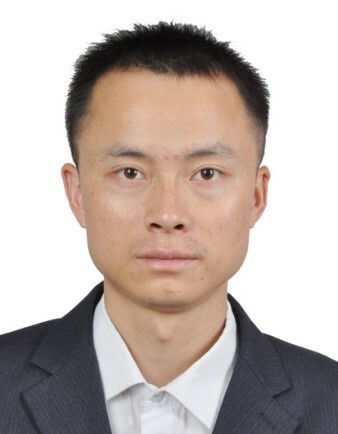 He is an associate professor at the International Research Center for Renewable Energy, State Key Laboratory of Multiphase Flow in Power Engineering, and at the Department of New Energy Science and Engineering, School of Energy and Power Engineering, Xi'an Jiaotong University. His research interest is focused on the conversion and utilization of renewable energies, new energy materials, and photocatalysis, especially the development of novel photocatalysts and photocatalytic systems for water splitting under visible-light irradiation. He took charge of 1 national project, and 5 provincial/ministerial projects. He published nearly 50 SCI-indexed papers in international journals and applied for 7 China invention patents. He achieved awards, such as the Wu Chung-hua outstanding student award (issued by Chinese Society of Engineering Thermophysics in 2012), the Excellent Paper Awards (issued by 11th China Hydrogen Energy Conference& 3rd Mainland, Taiwan, and Hong Kong Symposium on Hydrogen Energy in 2010, and by Progress in Natural Science: Materials International in 2015), the Excellent Doctoral Dissertation awards (issued by Xi'an Jiaotong University in 2013 and by Shaanxi province in 2014), and the first prize in Science and Technology (issued by Shaanxi Province in 2017). Yubin Chen received his Ph.D. degree at Xi'an Jiaotong University, Xi'an, China in 2013. From Sep. 2011 to Sep. 2012, he worked as a visiting scholar at Case Western Reserve University in USA under the supervision of Prof. Clemens Burda. He is currently an associate professor in the International Research Center for Renewable Energy, State Key Laboratory of Multiphase Flow in Power Engineering, Xi'an Jiaotong University, China. His current research focuses on photocatalysis, photoelectrochemical water splitting, and functional nanomaterials for energy conversion. Maochang Liu received his Ph.D. degree at Xi'an Jiaotong University, Xi'an, China in 2014. From Sep. 2011 to Sep. 2013, he worked as a visiting scholar at Georgia Institute of Technology with Prof. Younan Xia. He is currently an associate professor at the International Research Center for Renewable Energy, State Key Laboratory of Multiphase Flow in Power Engineering, Xi'an Jiaotong University, China. He has published more than 20 SCI papers in major international journals, including Nat. Commun., PNAS, JACS, Energy Environ. Sci. His research interest is focused on the controlled synthesis of metal and semiconductor nanoparticles and related application in photocatalysis, electrocatalysis. Yanrui Li recevied her doctor degree in Hefei National Laboratory for Physical Sciences at the Microscale at University of Science and Technology of China, 2017. 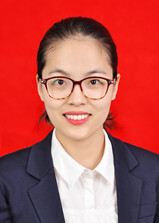 Currently she is a post-doctoral researcher of International Research Center for Renewable Energy, State Key Laboratory of Multiphase Flow in Power Engineering, School of Energy & Power Engineering, Xi’an Jiaotong University. Her research interests include design of nanocatalysts towards photocatalytic water splitting, based on semiconductor heterojunctions and plasmonic structures. Shahid Iqbal received his Ph.D. degree at School of Chemistry and Chemical Engineering, National Engineering Laboratory for VOCs Pollution Control Material & Technology, University of Chinese Academy of Sciences, Beijing, China in 2017. Currently, he is a post-doctoral researcher at International Research Center for Renewable Energy, State Key Laboratory of Multiphase Flow in Power Engineering, School of Energy & Power Engineering, Xi’an Jiaotong University. His research interest is focused on the controlled synthesis and thickness-dependent properties of few-layered transition metal dichalcogenides (TMDs) for efficient photocatalytic hydrogen evolution and CO2 conversion. 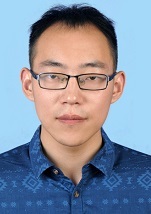 Ya Liu received his Ph.D. degree at Xi'an Jiaotong University in 2018. Currently, he is a post-doctoral researcher at International Research Center for Renewable Energy, State Key Laboratory of Multiphase Flow in Power Engineering, School of Energy & Power Engineering, Xi’an Jiaotong University. His research interests focus on exploiting new and exciting materials and designing composite photoelectrodes for photoelectrochemical water splitting. From Sept. 2015 to Sep. 2016, he was a visiting scholar at JCAP North, Lawrence Berkeley National Laboratory, USA under the supervision of Dr. Joel Ager for 1 year awarded by the China Scholarship Council (CSC). 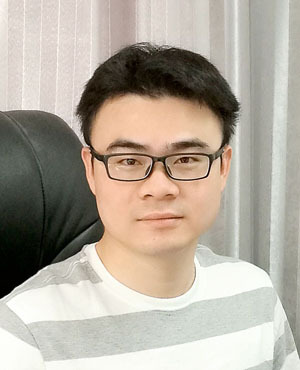 Xiangjiu Guan received his Ph.D. degree at Xi'an Jiaotong University in 2018. Currently, he is a post-doctoral researcher at International Research Center for Renewable Energy, State Key Laboratory of Multiphase Flow in Power Engineering, School of Energy & Power Engineering, Xi’an Jiaotong University. 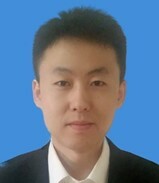 His research interests focus on fabrication of unassisted overall water splitting system based on highly efficient photocatalysts/photoelectrodes, especially on morphology control, heterostructure construction, cocatalyst designing, mechanism investigation of semiconductor-based photocatalyst/photoelectrodes. From Sept. 2015 to Sept. 2016 he worked as a visiting scholar at McGill University, Canada under the supervision of Prof. Zetian Mi for 1 year awarded by the China Scholarship Council (CSC). 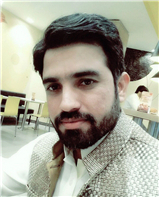 Muhammad Shuaib Khan received his Ph.D. degree at Graduate School of Advanced Science and Engineering while working in Functional Nanosheets Group at National Institute of Material Sciences (NIMS), under joint graduation program of Waseda University and NIMS, Japan in 2018. Currently, he is a post-doctoral researcher at International Research Center for Renewable Energy, State Key Laboratory of Multiphase Flow in Power Engineering, School of Energy & Power Engineering, Xi'an Jiaotong University. His research interest is focused on the designed synthesis of 2D materials based heterostructure for efficient photocatalytic hydrogen evolution. Ximin Zhang was born in 1957, received his Doctor degree at Xi'an Jiaotong University. He is currently a senior engineer of International Research Center for Renewable Energy, State Key Laboratory of Multiphase Flow in Power Engineering, School of Energy & Power Engineering, Xi’an Jiaotong University. He is currently responsible for all equipments related with multiphase flow, including aspects of oil-gas-water. 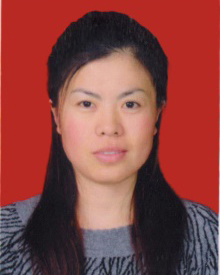 Lijing Ma is currently a senior engineer of International Research Center for Renewable Energy, State Key Laboratory of Multiphase Flow in Power Engineering, School of Energy & Power Engineering, Xi’an Jiaotong University. She mainly focuses on catalysts material testing. 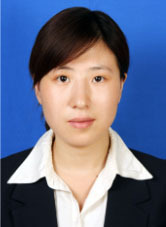 Yechun Wang was born in 1982, is a Ph.D. candidate for Thermal Engineering. He is currently an engineer of International Research Center for Renewable Energy, State Key Laboratory of Multiphase Flow in Power Engineering, School of Energy & Power Engineering, Xi’an Jiaotong University. He is mainly working on multiphase flow testing. 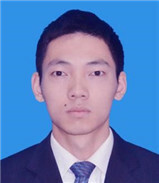 Penghui Guo is a Ph.D. candidate for Thermal Engineering. She is currently an engineer of International Research Center for Renewable Energy, State Key Laboratory of Multiphase Flow in Power Engineering, School of Energy & Power Engineering, Xi’an Jiaotong University. She has been working on operating SEM(scanning electron microscope), TEM(transmission electron microscope), FTIR( Fourier Transform infrared spectroscopy), PLS, XPS(X-ray photoelectron spectroscopy), Microwave Synthesizer and Nanosecond Lasers. Ingrid Rodríguez received her bachelor degree in industrial chemistry at Universidad Autónoma de Yucatán (University of Yucatan) in 2012 and her master degree in the Center for Research and Advanced Studies of the National Polytechnic Institute (CINVESTAV) in 2014. Currently she is Ph. D candidate at Center for Research and Advanced Studies of the National Polytechnic Institute in Gerko Oskam’s research group in Merida, Mexico. Her research is focused on synthesis and characterization of new materials for water splitting applications, including the study of their photoelectrochemical behaviour employing techniques such as Electrochemical Impedance Spectroscopy (EIS), Intesity-Modulated Photocurrent Spectroscopy (IMPS) and Intensity-Modulated Photovoltage Spectroscopy (IMVS). Her research visit has been supported by the National Council for Science and Technology (CONACYT) to join at IRCRE for 10 months. Mohammad Hatami (M. Hatami), was born on 1987 in Esfarayen, North Khorasan, Iran. He received his BS (2009) and M. Sc (2011) degrees in mechanical engineering from Ferdowsi University of Mashhad, Mashhad, Iran. In 2015, he completed his PhD of energy conversion at Babol University of Technology, Babol, Iran. Before this, he was a Ph.D. visiting scholar researcher in Eindhoven University of Technology (TU/e) inthe Netherlands.Currently he is a post-doctoral researcher ofInternational Research Center for Renewable Energy, State Key Laboratory of Multiphase Flow in Power Engineering, Xi'an Jiaotong University, Xi'an, Shanxi 710049, P.R. China. He was chosen as the best scientist in North Khorasan province (Iran) in the field of engineering. Mohammad published more than 100 ISI and Scientific-research papers in the field of combustion engines, renewable energies, heat recoveries,nanofluids, etc. and he is also editor in chief ofQuartelry Journal of Mechanical Engineering and Innovation in Technology (ISSN:2476-7336). (in persian), and editors of International Journal of Mechanical Engineering (IJME), American Journal of Modeling and Optimization, American Journal of Mechanical Engineering and International Journal of Renewable and Sustainable Energy. More details of him can be found in: https://www.researchgate.net/profile/Mohammad_Hatami4/info. 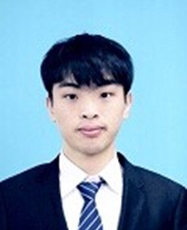 Shuangzhou Wang is a Ph.D. candidate in Materials Science at the Inorganic Chemistry Institute, University of Cologne, Germany under the supervision of Prof. Sanjay Mathur. She received her Bachelor degree at Harbin Institute of Technology, China and her Master degree at Freiburg University, Germany. She is working on Atomic Layer Deposition (ALD) of various oxide thin films for Resistive Switching Applications. Her study of interest is mainly focused on surface and interface study of thin films. Amir Hassanpour got a master degree from K.N. Toosi University of Technology, Iran in solid state physics in 2010 with focus on Laser-induced damage of optical coatings. He started his PhD degree at Concordia University, Canada in physics in 2012 focusing on the fabrication of microscale photonic devices by using hydrothermal method under the supervision of Prof. Pablo Bianucci. He has been awarded a MITACS Globalink Research Award for 2016 to join IRCRE as a visiting scholar for 3 months to work on novel Zinc Oxide oriented nanorod-based structures for optoelectronic and photoelectrochemical applications. 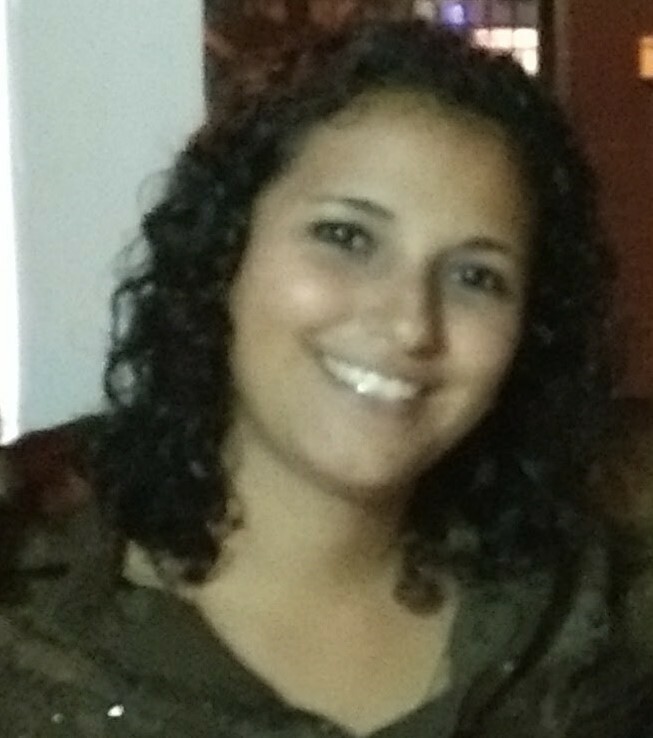 Aline Simo received her doctor degree at University of the Western Cape, 2014. She is currently a research assistant in Nanoscience Laboratory, Materials Research Department/iThemba LABS, National Research Foundation and an assistant with experiments in the Laboratory Research and Data Analysis. She has served as a Professional Society membership of Materiaux Yaounde-University of Yaounde I Cameroon, Nanosciences African Network (NanoAfNet) of Faure South Africa, American Chemical Society (ACS), For Women in Science the L`Oreal–Unesco and African Network for Solar Energy (Ansole). 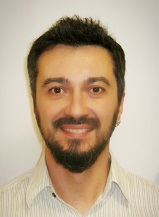 Dr. Simo mainly focuses on physical properties of nanoparticles and nanomaterials. 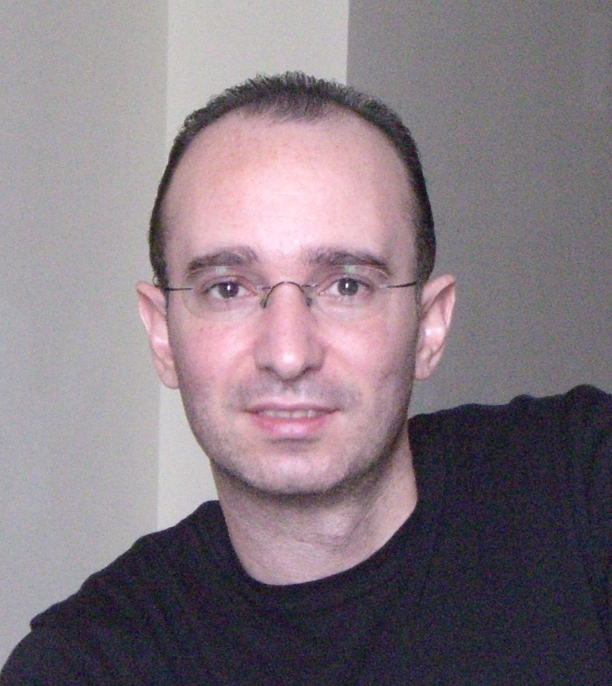 Ioannis Zegkinoglou, a condensed matter physicist with over 10 years of experience (Max-Planck Institute for Solid State Research, Stuttgart, Germany; Univ. Wisconsin Madison, USA; Lawrence Berkeley National Laboratory, USA) in employing synchrotron-based x-ray scattering and spectroscopy techniques for the study of the structure and the electronic properties of a wide range of materials of both fundamental and application-oriented interest. Current research activities include the investigation of charge generation and separation processes at solid semiconductor / liquid electrolyte interfaces; in dye-sensitized oxide nanostructures; and at atomically abrupt semiconductor interfaces, for light harvesting (solar cell), solar water splitting (artificial photosynthesis) and environmental science applications. Core level soft x-ray spectroscopy techniques are primarily used for these studies, including x-ray absorption (NEXAFS), ambient pressure photoelectron spectroscopy (APPES) and time-resolved (pump-probe) x-ray photoelectron spectroscopy (TR-XPS). In-depth knowledge in the field of strongly correlated electron systems (high-temperature superconductors, magnetic oxides, orbital-ordered compounds) was previously obtained using hard x-ray scattering techniques, such as resonant x-ray diffraction, x-ray reflectometry and high-energy diffuse x-ray scattering. 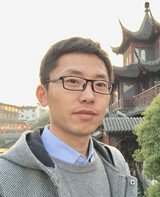 Yuanchang Du is currently a Ph.D student in Xi’an Jiaotong University. His research interests focus on simulation of light scattering by small particles and light energy transfer in dispersion medium. 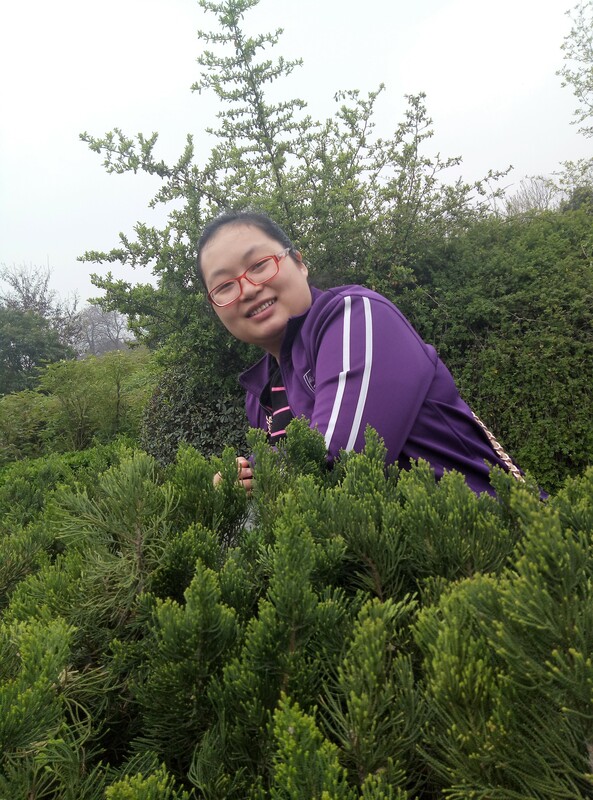 Qing Li is currently a Ph.D student in Xi’an Jiaotong University. He is focused on the reactor of photosynthetic bacteria hydrogen production. 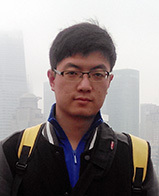 Jiali Feng is currently a Ph.D. student for Power Engineering and Engineering Thermophysics. Her research interests focus on improvement and modification of biohydrogen production. 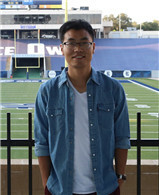 Fengfeng Liu is a Ph.D. student for Thermal Engineering. 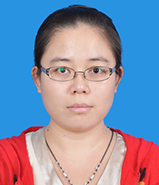 Her research interests mainly focus on heat and mass transport in proton exchange membrane fuel cell. Li Cai is currently a Ph.D student in Xi’an Jiaotong University. 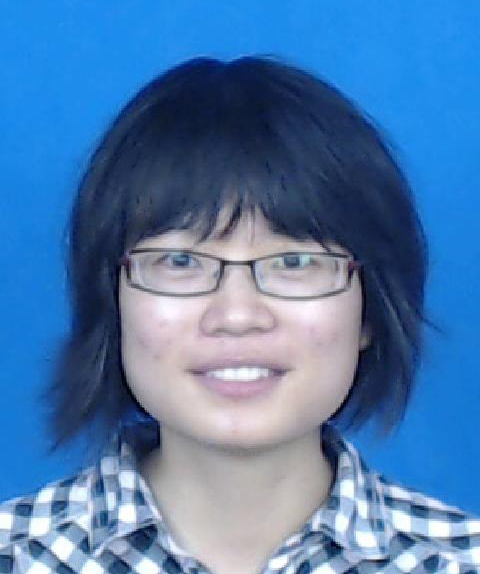 Her research interest focuses on the synthesis of ZnO nanostructures of different dimensionality to develop efficient photoelectrochemical water splitting photoanodes. She was a visiting scholar at Princeton University, Department of Chemical & Biological Engineering, Princeton, NJ, USA under the supervision of Prof. Bruce Koel for 1 year (from October 2016 to October 2017) awarded by the China Scholarship Council (CSC). 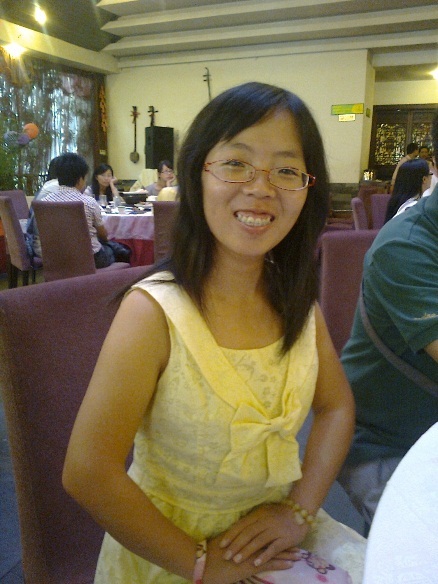 Yanming Fu is currently a Ph.D student in Xi’an Jiaotong University. 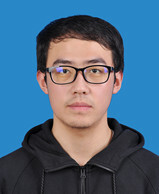 His research interests focus on enhancing the energy conversion efficiency in PEC water splitting of hematite(α-Fe2O3) photoelectrode by doping, nanostructure constructing and surface modification. 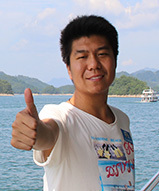 Fujun Niu is currently a Ph.D student in Xi’an Jiaotong University. His research interests focus on the photogeneration of hydrogen and oxygen from water, especially artificial photosynthetic systems utilizing catalysts consisting of earth-abundant elements. 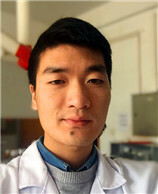 He is working as a visiting scholar at University of North Carolina at Chapel Hill, USA in the Department of Chemistry, UNC Energy Frontier Research Centerin under the supervision of Prof. Thomas J Meyer for 1 year (from September 2017 to September 2018) awarded by the China Scholarship Council (CSC). 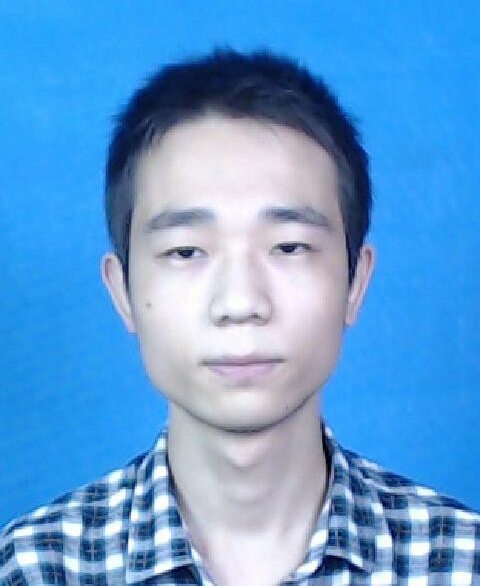 Xu Guo is currently a Ph.D student in Xi’an Jiaotong University. His research interests focus on the synthesis and properties of nanostructured photocatalytic material, more specifically the chalcogenides. He is a visiting scholar at Emory University, USA, under the supervision of Prof. Tianquan Lian for 1 year (from September 16, 2017 to September 16, 2018) awarded by the China Scholarship Council (CSC). 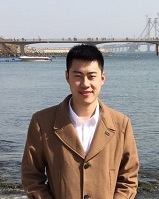 Tao Zhang is currently a Ph.D student in Xi’an Jiaotong University. His research interests focus on the synthesis of nanostructured WO3 photoanode materials and their photoelectrochemical properties. He was a visiting scholar at University of Houston, Department of Physics, Houston, TX, USA under the supervision of Prof. Oomman K. Varghese (from September 2016 to September 2017)for one year awarded by the China Scholarship Council (CSC). 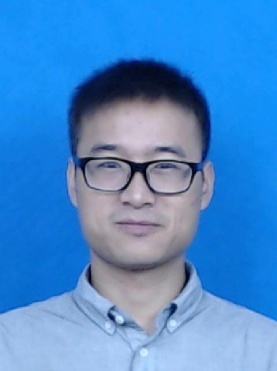 Xiaobing Li is currently a Ph.D student in Xi’an Jiaotong University. 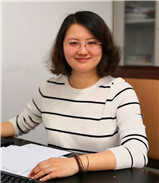 Her research interests focus photoelectrode materials for photoelectrochemical water splitting under irradiation by sunlight, including organic semiconductor, oxide semiconductor, perovskite-sensitized solar cells. 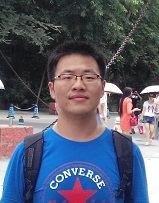 Cong Liu is currently a Ph.D student in Xi’an Jiaotong University. His research interests focus on heterojunction photoelectrodes for photoelectrochemical water splitting including WO3/BiVO4, SnO2/BiVO4, BiVO4/ZnO heterojunction photoelectrodes and WO3/BiVO4 multilayer heterojunctions photoelectrodes. He's currently a visiting scholar at Michigan Technological University, Department of Chemistry, Houghton, MI, USA under the supervision of Prof. Xiaohu Xia for 1 year (from November 2016 to November 2017) awarded by the China Scholarship Council (CSC). 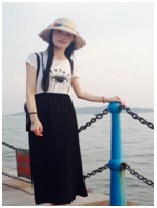 Lu Wang is currently a Ph.D student in Xi’an Jiaotong University. His research interests focus on metal oxide semiconductor electrode in photoelectrochemical water splitting. His current research interest includes bismuth vanadate based one-dimensional nano-array photoeletrodes for PEC. Daming Zhao is currently a Ph.D student in Xi’an Jiaotong University. His research interests focus on enhancing photocatalytic activity for hydrogen evolution of g-C3N4 by designing special nanostructure based on strengthened separation and transfer of photo-generated charges. He is working as a visiting scholar at University of Queensland, Australia in Nanomaterials Centre under the supervision of Prof. Lianzhou Wang for 1 year (from September 2017 to September 2018) awarded by the China Scholarship Council (CSC). 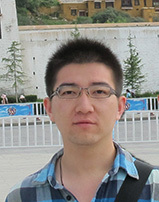 Shichao Zong is currently a Ph.D student in Xi’an Jiaotong University. His research interests focus on the optimization of band structure of perovskite photocatalysts for visible-light-driven H2 evolution. Yazhou Zhang is currently a Ph.D student in Xi’an Jiaotong University. His research interests focus on the surface/bulk modification of (oxy)nitride-based semiconductor materials for photocatalytic water splitting. 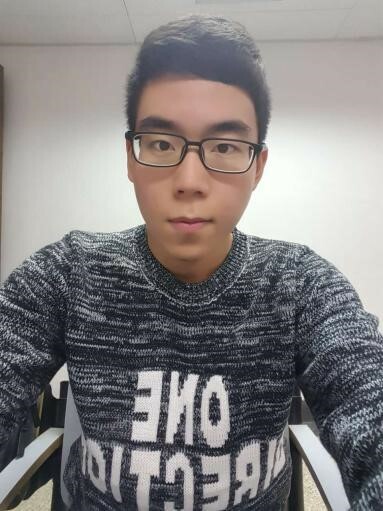 From September 2017 to September 2018, He is working as a visiting scholar by the sponsor of China Scholarship Council (CSC) in the group of Prof. Zetian Mi (Electrical Engineering and Computer Science (EECS) at University of Michigan, Ann Arbor, USA). 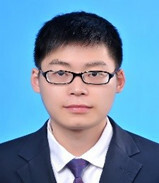 Zhenxiong Huang is currently a Ph.D student in Xi’an Jiaotong University. His research interests focus on first-principles-calculations of semiconductor photo-catalyst, including calculations of band gap and energy levels of nano-cluster. Zhixiao Qin is currently a Ph.D student in Xi’an Jiaotong University. His research interests focus on metal sulfide photocatalyst, including CdS, CdS/NiS and some multicomponent sulfide, such as CZTS, AZTS. He is working as a visiting scholar at Rutgers University New Brunswick, USA in Department of Materials Science & Engineering under the supervision of Prof. Manish Chhowalla for 1 year (from November 2017 to November 2018) awarded by the China Scholarship Council (CSC). 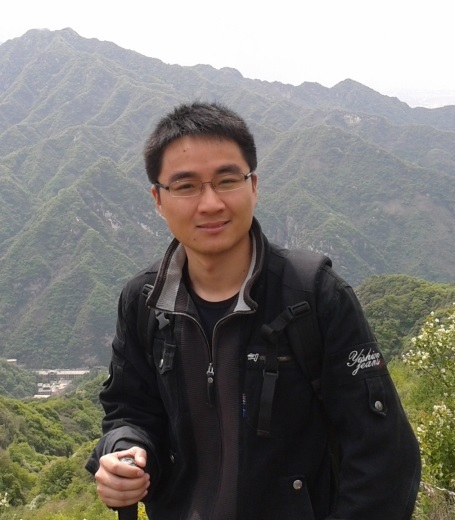 Jiafeng Geng is currently a Ph.D student in Xi’an Jiaotong University. 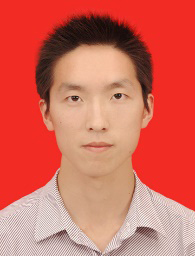 His research interests mainly focus on distribution of radiant energy and the hydrodynamic property in fluidized bed photocatalytic reactor by numerical simulation and parametric study. 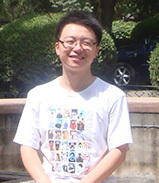 Bing Luo is currently a Ph.D student in Xi’an Jiaotong University. His research interests focus on application of cuprous oxide in the field of photovoltaic, water splitting under visible light and the role of different crystal face in the photocatalytic process. He is working as a visiting scholar at Institut National de la Recherche Scientifique, Canada in the Énergie, Matériaux et Télécommunications under the supervision of Prof. Federico Rosei for 1 year (from September 2017 to September 2018) awarded by the China Scholarship Council (CSC). 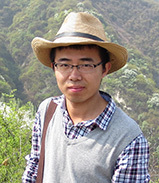 Xiaoyang Feng is currently a Ph.D student in Xi’an Jiaotong University. His research interests focus on one-dimensional nanostructured semiconductors for photoelectrochemical water splitting. He is working as a visiting scholar at Michigan State University, USA in the department of chemistry under the supervision of Prof. Thomas Hamann for 1 year (from September 2017 to September 2018) awarded by the China Scholarship Council (CSC). 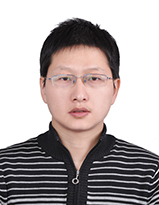 Wu Zhou is currently a Ph.D student in Xi’an Jiaotong University. His research interests focus on Si nano-array photoelectrode material and photoelectrochemical water splitting. He is working as a visiting scholar at California Institute of Technology, USA under the supervision of Prof. Nathan S. Lewis for 1 year (from November 1, 2017 to October 31, 2018) awarded by the China Scholarship Council (CSC). 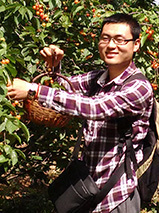 Cheng Cheng is currently a Ph.D student in Xi’an Jiaotong University. His research interests focus on the new preparation strategy of g-C3N4 and design of non-noble metal free photocatalysts for photocatalytic water splitting under visible light irradiation. He is working as a visiting scholar at University of California, Santa Cruz, USA in the Department of Chemistry and Biochemistry under the supervision of Prof. Yat Li for 1 year (from October 2017 to October 2018) awarded by the China Scholarship Council (CSC). Yu Ma is currently a Ph.D student for Thermal Engineering. His research is focused on intermediate temperature fuel cells. 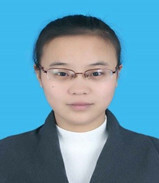 Xiaohe Liu is currently a Ph.D. student in Xi'an Jiaotong University. His research interests focus on self-driven photo fuel cell (PFC) system for hydrogen and electricity co-generation from organics. 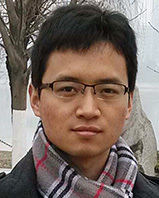 Jun Hu is currently a Ph.D. student in Xi’an Jiaotong University. His research interests focus on the conversion of agriculture-based biomass to fuels and improvement of hydrogen production through molecular approaches and metabolic engineering. He is working as a visiting scholar by the sponsor of China Scholarship Council (CSC) in the group of Prof. Lee Lynd at Dartmouth College, USA from October 15, 2017 to October 15, 2018. Rui Song is currently a Ph.D student in Xi’an Jiaotong University. Her research interests focus on exploring photothermal catalysis as well as the potential synergism between photo and thermal effects for water splitting. She is working as a visiting scholar at University of Toronto, Canada in the Department of Chemistry under the supervision of Prof. Geoffrey A. Ozin for 1 year (from September 2017 to September 2018) awarded by the China Scholarship Council (CSC). 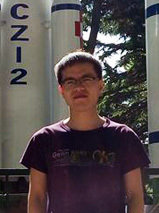 Kai Zhang is currently a Ph.D. student in Xi’an Jiaotong University. His research interests focus on establishment of a bio-photoelectrochemical cell for hydrogen generation under illumination, which include an anode made of bacteria and a p-type semiconductor photocathode. Lingyun He is currently a Ph.D. student in Xi’an Jiaotong University. His research interests focus on Si nano-array photoelectrode material and photoelectrochemical water splitting. 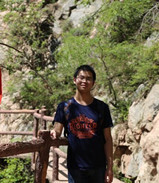 Xiangyan Chen is currently a Ph.D. student in Xi'an Jiaotong University. Her research interests focus on searching and exploring semiconductor materials used as photoelectrodes such as Fe2O3, TiO2 and Cu2O for photoelectrochemical solar water splitting. 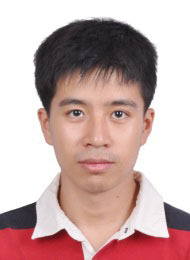 Yubo Tan is currently a Ph.D student in Xi' an Jiaotong University. Her research interests focus on nanoparticles for photocatalytic water splitting. From Oct. 2017 to Sept. 2019, she is a visiting scholar at University of California, Riverside, USA, under the supervision of Prof. Yadong Yin for 2 years awarded by the China Scholarship Council (CSC). 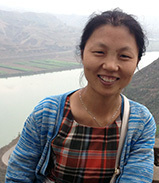 Wenlong Fu is currently a Ph.D student in Xi’an Jiaotong University. His research interests focus on the sythesis of sulfides nanomaterials based on CuS nanocrystals with the controllable shape and the synthesis of GaInN/GaN. He is currently a visiting scholar at Lawrence Berkeley National Laboratory, USA, under the supervision of Dr. Francesca Toma for 1 year awarded by the China Scholarship Council (CSC). Menglong Wang is currently a Ph.D. student in Xi’an Jiaotong University. His research interests focus on Photocatalytic water splitting using semiconductor materials. 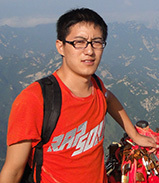 Lianlian Mao is currently a Ph.D. student in Xi’an Jiaotong University. Her research interests focus on improvement and modification of hematite as photocatalyst. 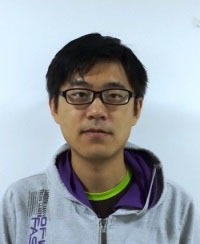 Fei Xue is currently a Ph.D student in Xi’an Jiaotong University. 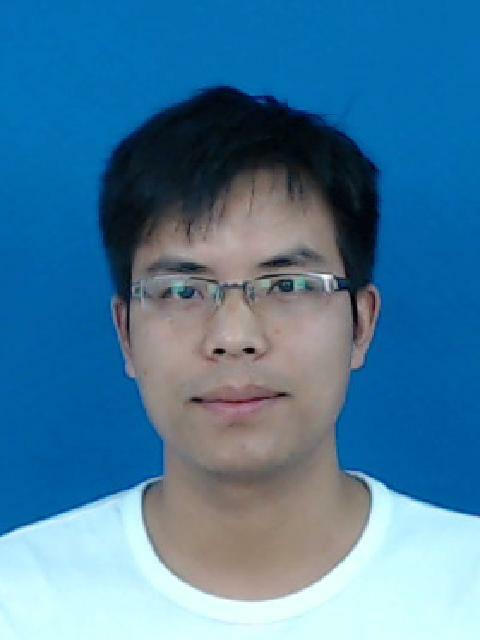 His research interests focus on the sythesis of nickel based g-C3N4 composite for photocatalytic overall water spitting without sacrificial agents. 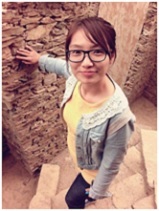 Xiaoping Zhang is currently a Ph.D student in Xi’an Jiaotong University. 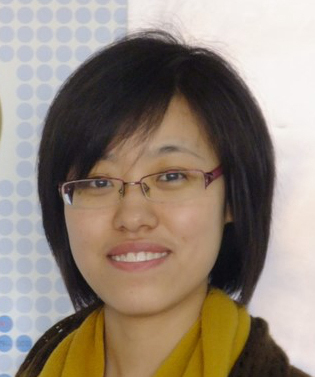 Her research interests mainly focus on photoelectrochemical water splitting. 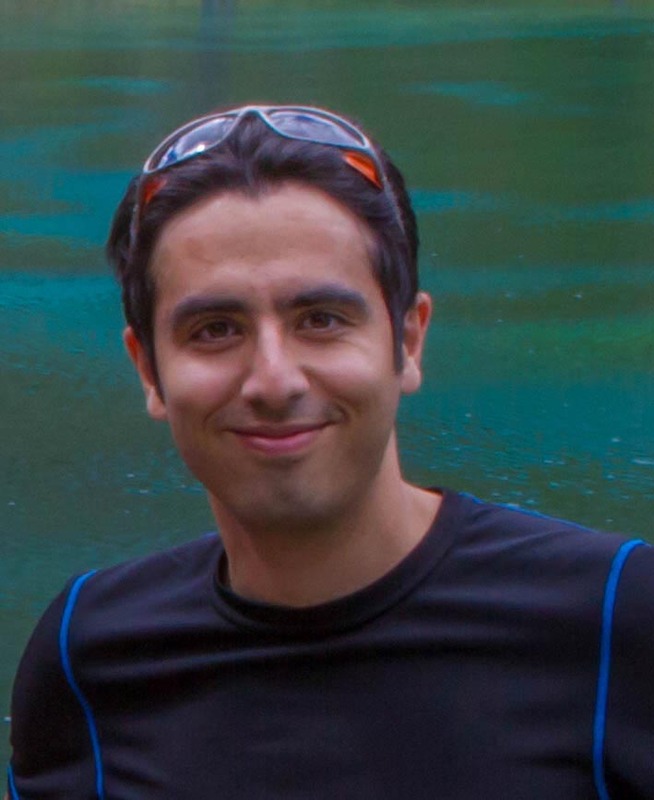 Saleh Khan is currently a Ph.D student in Xi’an Jiaotong University. 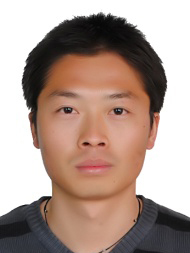 His research interests focus on the synthesis of semiconductor films with heterojunction/homojunction structure for photoelectrochemical water splitting. 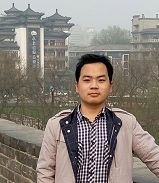 Zhidan Diao is currently a Ph.D student in Xi’an Jiaotong University. His research interests focus on the application of titanium dioxide in sodium ion batteries. 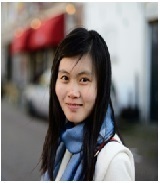 Mengmeng Song is currently a Ph.D student in Xi’an Jiaotong University. Her research interests focus on first-principles-calculations of CO2 reduction reactions and supercritical water. 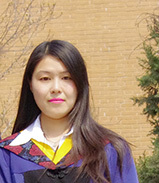 Shengjie Bai is currently a Ph.D student in Xi’an Jiaotong University. His research interests focus on designing and fabricating novel photocatalysts with high selectivity, high stability for photoelectrochemical CO2 reduction. Miao Wang is currently a Ph. 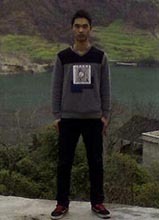 D student in Xi’an Jiaotong University. His research interests mainly focus on advanced nanomaterials for electrochemical water splitting. 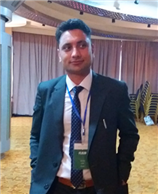 Muhammad Qasim is currently a Ph.D. Student in Xi'an Jiaotong University. His research interest mainly focus on hematite and carbon nitrite composites for hydrogen and oxygen evolution under visible light irradiation. 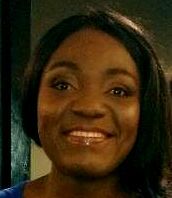 Djatoubai Essossimna is currently a PHD student in Xi’an Jiaotong University from Togo. 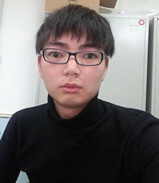 He is a China Scholarship Council (CSC) student since September 2010. 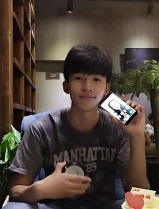 From September 2010 to July 2011, he brilliantly got his Chinese language certificate and his HSK level 4 in Tianjin University. 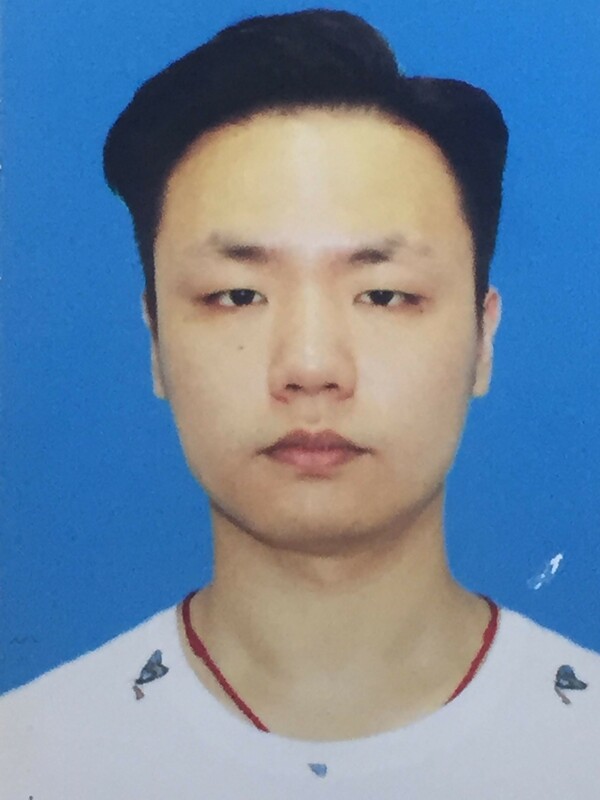 He graduated in July 2015 from Beijing North China Electric Power University (NCEPU) after 4 years studying a bachelor degree in electrical engineering and automation. 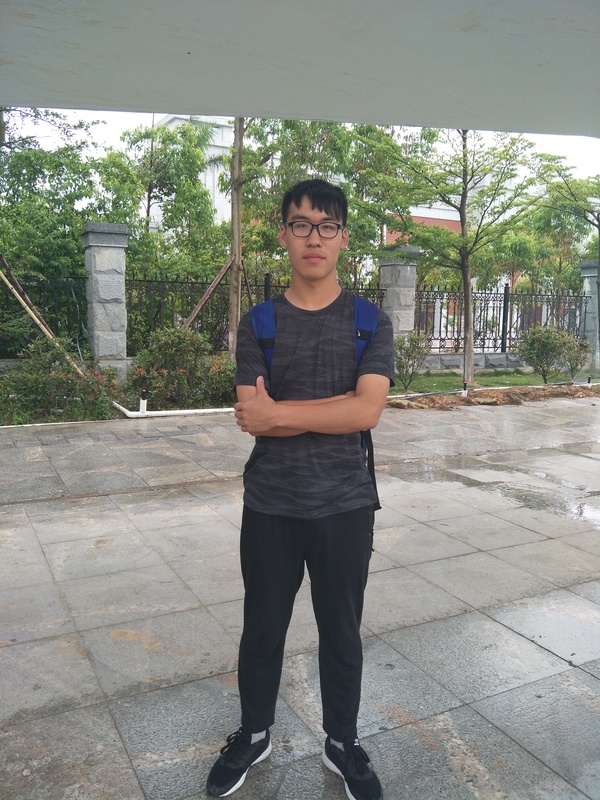 From september 2016, he started his master in Xi'an Jiaotong University, graduated in july 2018 and got another CSC scholarship for PHD. His master research mainly focused on solar cells and energy saving especially CuBaSnS solar cells for photo electrochemical (PEC) water splitting for hydrogen. 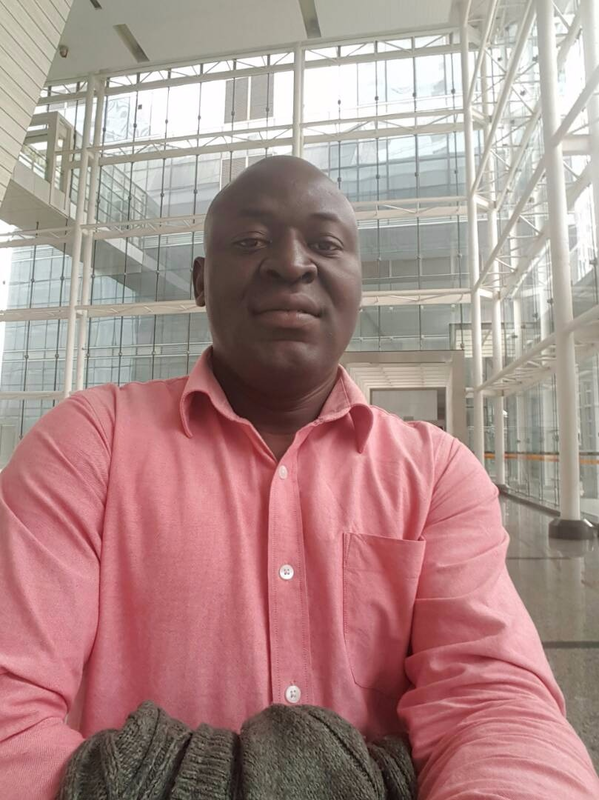 He worked as Electrical engineer, works coordinator and French-Chinese-English translator with Poly Solar Technologies (Beijing) Co.Ltd on a solar electrification project in Ivory Coast in 2015. 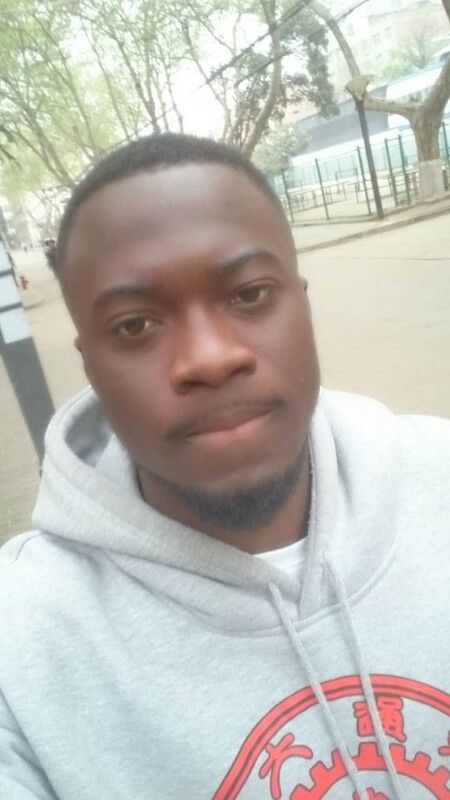 He worked also for one year as electrical engineer in charge of streets lights projects in CECO-GROUP, a public buildings and works sector company in Togo. He can speak fluent French (mother tongue), English and Chinese. 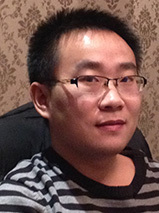 Zhuocheng Yin is currently a Ph.D. student in Xi’an Jiaotong University. His research interests focus on Si nano-array photoelectrode material and photoelectrochemical water splitting. 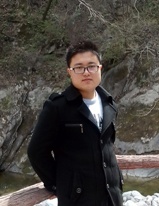 Ming Cheng is currently a master student in Xi’an Jiaotong University for Thermal Engineering. His research interests focus on intermediate temperature solid oxide fuel cells. 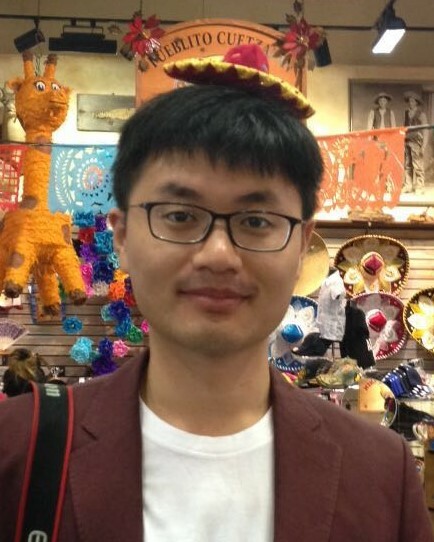 Ke Cheng is a master student in Thermal Engineering. His study field is focused on the supercritical water gasification (SCWG) of coal. Xiaoyan Li is a master student in renewable energy. Her present work is focusing on gas hydrates. 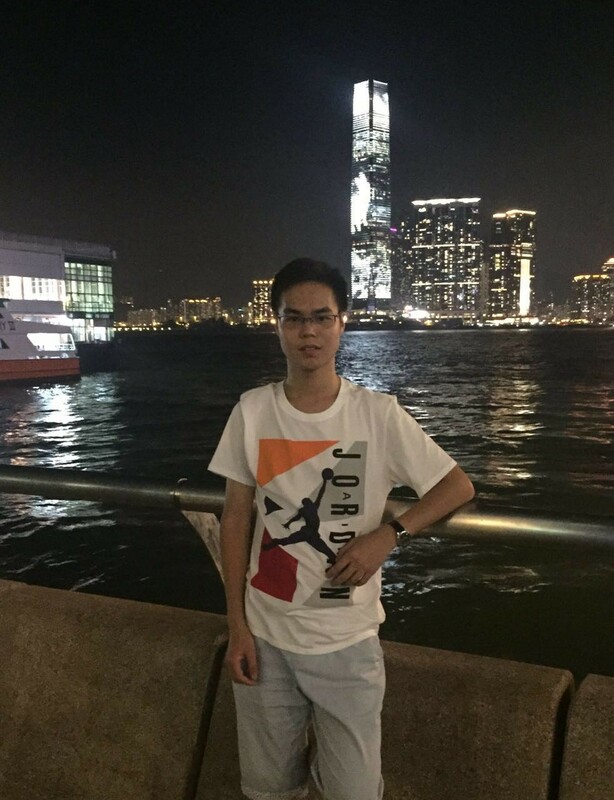 Shangpu Liu is a master student from the Department of Thermal Engineering in Xi’an Jiaotong University. His research realm is the p-type semiconductor materials photoelectrode for photoelectrochemical (PEC) water splitting for hydrogen. Also, his research focuses on the photovoltaic (P-V) cell. 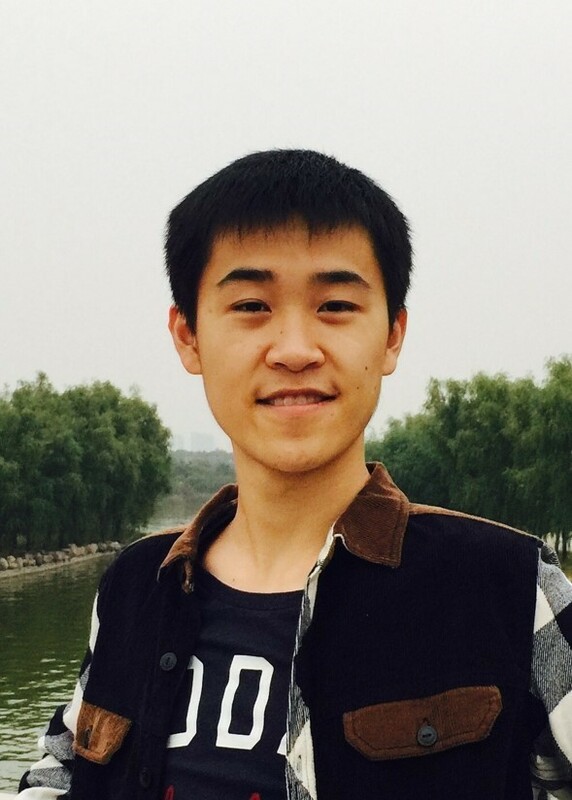 Dongyu Liu is currently a master student in Xi’an Jiaotong University. His research interests focus on the simulation and calculation about the photocatalysis and photoelectrochemiscal water splitting. Shi Liu a master student for Thermal Engineering. He is mainly working on catalysis in hydrogen production by thermochemical water decomposition. 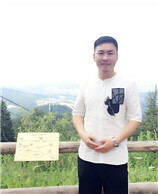 Chao Fan is a master student in Thermal Engineering. His study field is focused on the supercritical water gasification (SCWG) of coal. 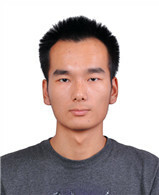 Jingyu Jin is currently a master student in Xi’an Jiaotong University for Thermal Engineering. His research interests mainly focus on micro/nano-scale particle liquid-solid two-phase flow and heat transfer. 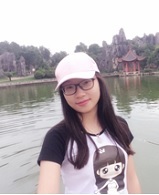 Xinyi Wang is a master student for Thermal Engineering. She is mainly working onhydrogen production by photocatalysis technology. 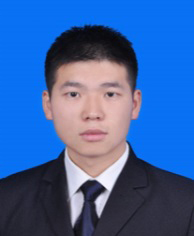 Zhiqiang Wang is currently a master student in Xi’an Jiaotong University for Thermal Engineering. His research interests mainly focus on new energy. 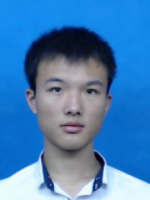 Wenshuai Zhang is currently a master student in Xi’an Jiaotong University for Thermal Engineering. His research interests mainly focus on photocatalytic hydrogen generation. 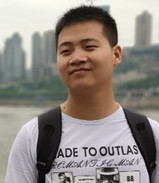 Gaosheng Li is currently a master student in Xi’an Jiaotong University. His focus is on Metal-organic framework (MOF)-based materials for hydrogen evolution and storage. 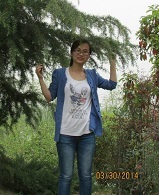 Xiaohai Zhang is currently a master student in Xi'an Jiaotong University. His research interests mainly focus on geothermal heating & cooling system and thermal design under special environment. 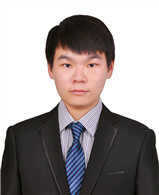 Xi Jiang is currently a master student in Xi’an Jiaotong University. His research interests mainly focus on enhancing oil recovery. 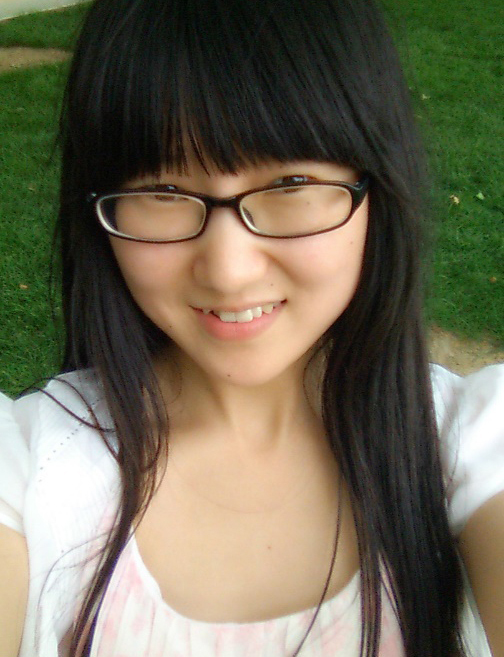 Lei Zhang is currently a master student in Xi’an Jiaotong University. His research interests focus on the density functional theory (DFT) calculations about the electrode materials for photoelectrochemical water splitting. 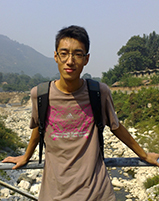 Cheng Xie is currently a master student in Xi'an Jiaotong University. His research interests mainly focus on photoelectrochemical water splitting. 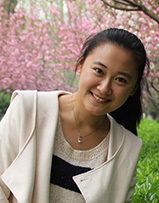 Lulu Hou is currently a master student in Xi’an Jiaotong University. Her research interests focus on carbon nitride for hydrogen production by photoelectric decomposition of water. 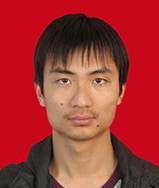 Liuhao Mao is currently a master student in Xi’an Jiaotong University. His research interests focus on metal-organic-framworks (MOFs) for photocatalysis and other energy applications. Yifan Yang is currently a master student. He is working on photoelectrochemical water splitting using ferroelectric and thermoelectric materials. 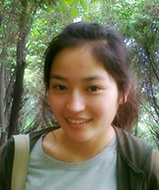 Jialei Yu is currently a master student in Xi'an Jiaotong University. 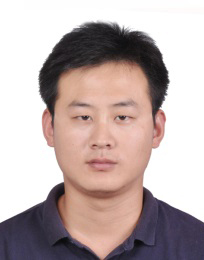 His research interests mainly focus on design and heat dissipation of High power LED. 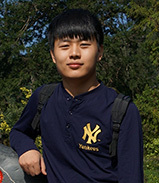 Yitao Si is currently a master student in Xi'an Jiaotong University. His research interests mainly focus on First-principles Calculations. 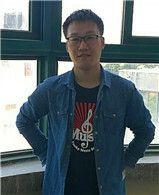 Rui Li is currently a master student in Xi'an Jiaotong University. His research interests mainly focus on photocatalytic water splitting for hydrogen generation. 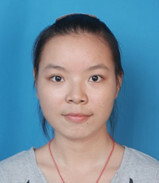 Jianke Lv is currently a master student in Xi’an Jiaotong University for Thermal Engineering. His research interests mainly focus on new energy and heat transfer enhancement. 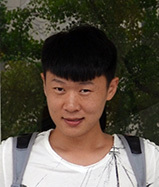 Siyu Chen is currently a master student in Xi'an Jiaotong University. 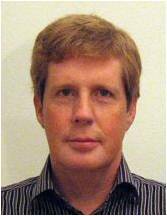 His research interests mainly focus on Microchannel in photocatalytic organic synthesis. 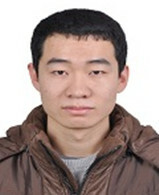 Yiliang Huangfu is currently a master student in Xi'an Jiaotong University. His research interests mainly focus on photocatalytic hydrogen generation. 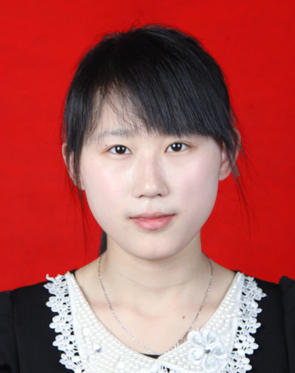 Songwei Hu is currently a master student in Xi'an Jiaotong University. His research interests mainly focus on the rheology for micro/nano-scale particle liquid-solid two-phase flow and the solar energy for spitting water. 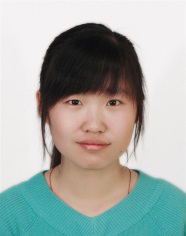 Zilong Zeng is a master student in Thermal Engineering. His study field is focused on methanol steam reforming for producing hydrogen. 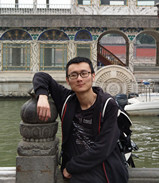 Linyuan Wen is currently a master student in Xi’an Jiaotong University. He is working on the hydrogen storage materials, especially the metal hydrides. 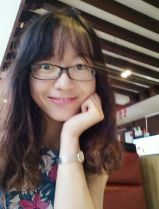 Anna Dai is currently a master student from the Department of Thermal Engineering in Xi’an Jiaotong University.Her research realm is the photocatalytic hydrogen generation. 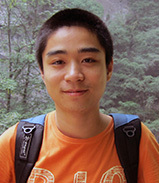 Botong Zheng is currently a master student in Xi’an Jiaotong University. He graduatede from School of Aeronautics Science, Northwest Polytechnical University. Now he is working on photocatalysis water splitting. 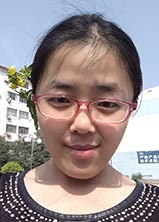 Zheng Zhang is currently a master student from the Department of Thermal Engineering in Xi’an Jiaotong University.Her research realm is the photocatalytic hydrogen generation. 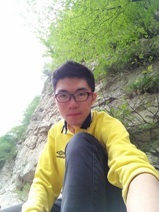 Li Tian is a master student from the Department of Thermal Engineering in Xi’an Jiaotong University. His research realm is photoelectrochemical water splitting for hydrogen. 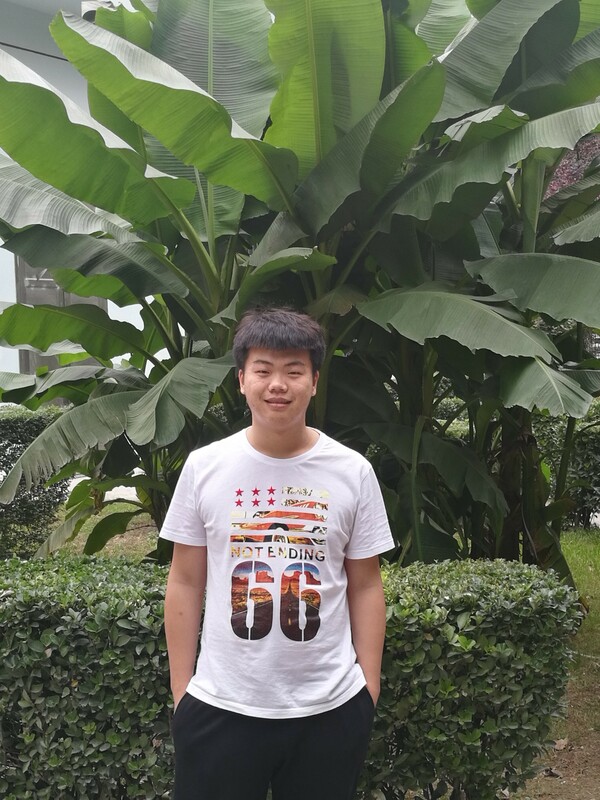 Xinxin Wang is currently a master student in Xi’an Jiaotong University. His research interests mainly focus on photocatalytic hydrogen generation. 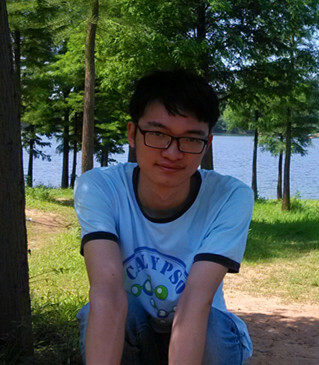 Taiming Zhang is currently a master student in Xi’an Jiaotong University. His research interests mainly focus on sodium ion batteries. 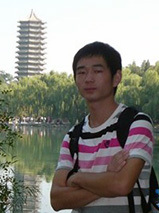 Zhen Zhang is currently a master student in Xi’an Jiaotong University. His research interests focus on the anode materials in sodium ion batteries. Kevin Tucker is currently a master student in the department Thermal Engineering in the School of Energy and Power Engineering at the Xi’an Jiaotong University. He is from a country close to the Equator which has very favorable weather throughout the year making it an ideal ground for solar activity. His research direction is in Photonics and the photo-catalytic conversion of Hydrogen for industrial scale energy utilization and conversion. 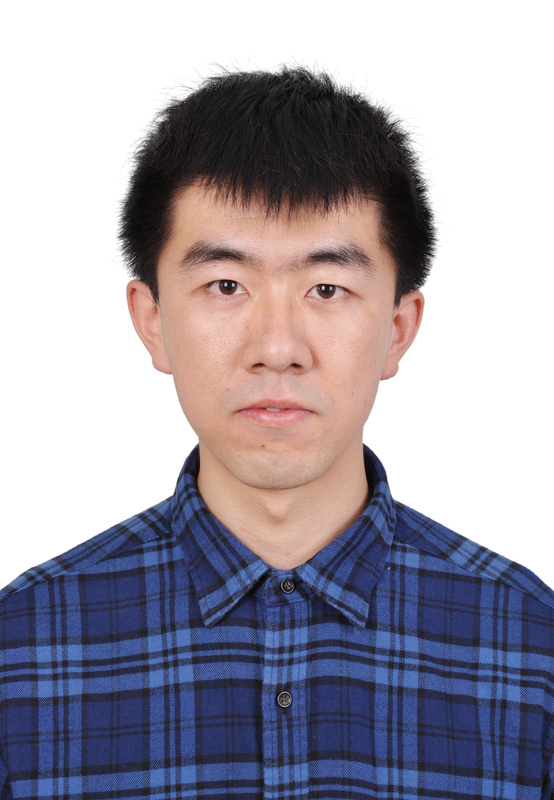 Feng Chen is a master student from State Key Laboratory of Multiphase Flow in Power Engineering. His research directions are visible light catalysis of hydrogen production and high temperature SCR catalysts. 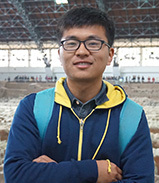 Jingyuan Liu is an undergraduate student in Xi’an Jiaotong University. 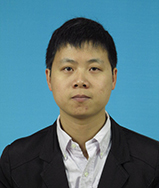 His research interests focus on modification of band structure and morphology of perovskite photocatalyst LaTiO2N. 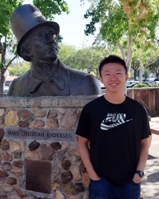 After graduation, he will pursue Master of Science in Mechanical Engineering at University of Washington, Seattle. 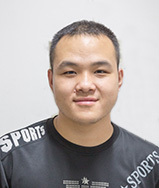 Yan Ke is currently an undergraduate student in Xi’an Jiaotong University. His research interests focus on photo catalysis and first-principles calculations of semiconductor. In his junior year, he will go for further study in Columbia University, USA, for one semester as an exchange student. 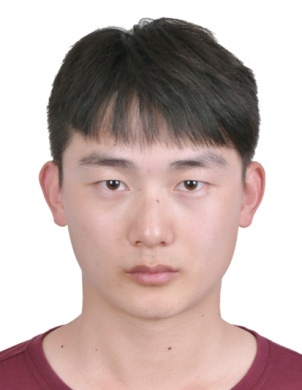 Tian Bai is currently an undergraduate student in Xi'an Jiaotong University. His research interests focus on computation and modeling on energy related materials and heterogeneous catalysis. 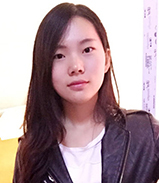 Yiqing Wang is currently an undergraduate student in Xi’an Jiaotong University. His research interests focuses on photocatalysis for overall water splitting. 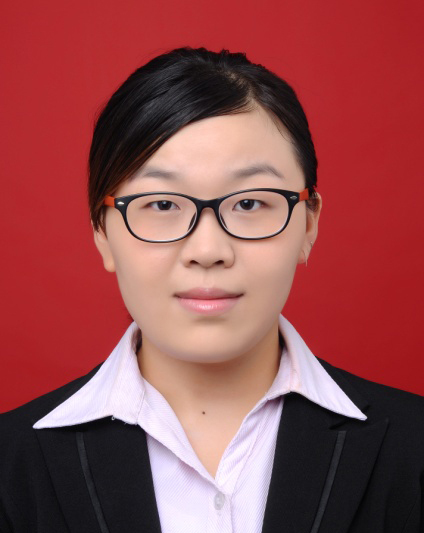 Grace Wang is currently an administrative secretary of International Research Center for Renewable Energy, State Key Laboratory of Multiphase Flow in Power Engineering, Xi'an Jiaotong University, China. Prof. Traversa was a full professor at IRCRE. Xiaowei Hu received her Doctor degree (Power Engineering and Thermophysics) at Xi’an Jiaotong University in 2012. 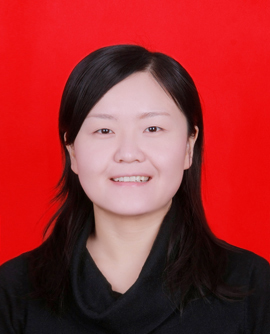 She was an assistant professor of International Research Center for Renewable Energy, State Key Laboratory of Multiphase Flow in Power Engineering, School of Energy & Power Engineering, Xi’an Jiaotong University. From Sep. 3 2014 to Aug. 28 2015, she worked as a visiting scholar at Max Planck Institute of Colloids and Interfaces in Germany under the supervision of Dr. habil. Reinhard Miller. 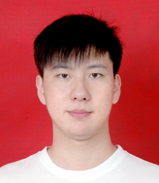 Zhaohui Zhou received his PH.D. in 2012 from Xi’an Jiaotong University (China) in the group of Prof. Liejin Guo. He was an assistant professor in Xi’an Jiaotong University and also a postdoctoral researcher in University of Southern California with Prof. Oleg V. Prezhdo. His research interest includes thermodynamics and kinetics processes of photoelectrochemical water splitting reaction on catalysts and photo-induced charge transfer on the interface of catalysts and solution with the aid of DFT-based calculations. 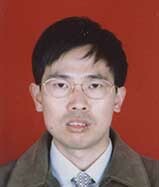 Fei Jia was a Ph.D. student for Thermal Engineering. She mainly focuses on dynamic behavior of proton exchange membrane fuel cells. Her PhD thesis is Dynamic Characteristics and Mechanism of Transfer Processes and Performance Optimization in Proton Exchange Membrane Fuel Cells. 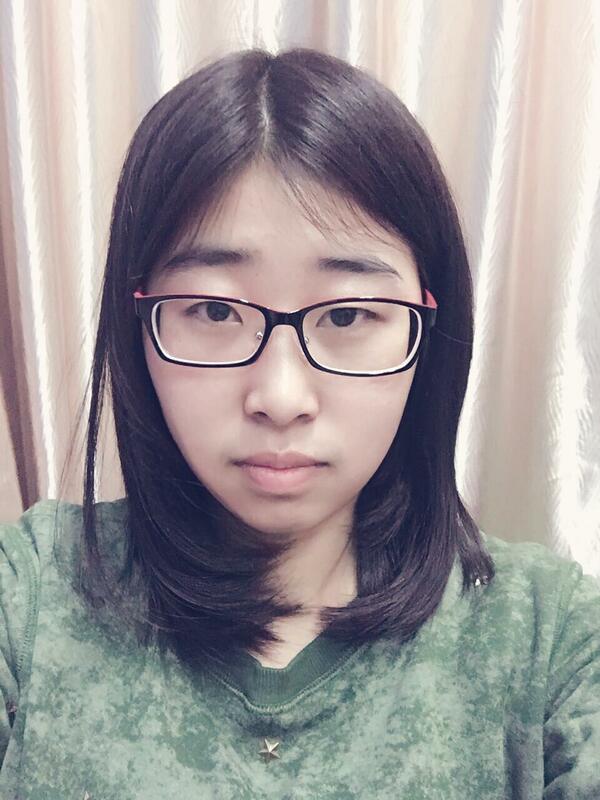 From June 2015 she is working at School of Mechano-Electronic Engineering, Xidian University. Po Wu was a Ph.D student in Xi’an Jiaotong University. His research interests focus on solar energy conversion and advanced functional materials development. From Sep. 2013 to Sep. 2014, he worked as a visiting scholar at University of California, Davis in USA under the supervision of Prof. Frank E. Osterloh. Now he is working at Electric Power Research Institute in Henan Province. 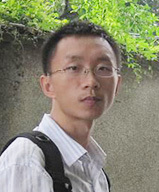 Guiyin Chen was a Ph.D. student for Thermal Engineering. She mainly focuses on heat mass transfer in porous material of proton exchange membrane fuel cell. Dan An was a Ph.D student in Xi’an Jiaotong University. Research interests focus on hydrogen production from biomass. Dark-light two-step biomass hydrogen production technologies. Ning Zhang was a Ph.D student in Xi’an Jiaotong University. His research interests focus on oxide semiconductor quantum dots for photocatalytic water splitting and hydrogen production under visible light irradiation. Xueqing Wang was a Ph.D student in Xi’an Jiaotong University. Her research interests focus on exploring ways to use microorganism from transforming agricultural waste to hydrogen, and especially on improving the hydrogen production rate via transformation of genetic of metabolic pathways in photosynthetic bacteria. 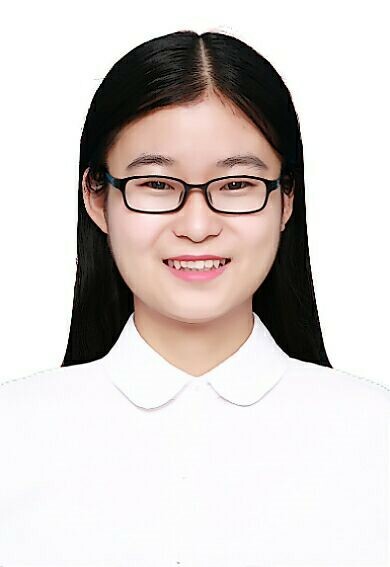 Now she is working at College of Bioresources Chemical and Materials Engineering, Shaanxi University of Science and Technology. 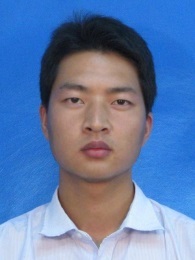 Chao Zhang was a Ph.D. student for Thermal Engineering. He mainly focuses on heat mass transfer and numerical simulation in the process of melting magnesium under thermal reduction process. 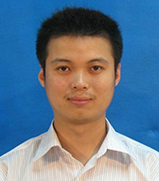 Xu Zhang was a Ph.D. student for Power Engineering and Engineering Thermophysics. His research interests focus on experimental studies of durability and mass transport phenomena in Proton Exchange Membrane Fuel Cell (PEMFC). Yuchao Hu was a Ph.D student in Xi’an Jiaotong University. His research interests focus on modification and design of photocatalysts based on novel layered niobate for hydrogen evolution under visible light as well as structure-function relationships and dynamic research of photocatalytic processes. He has been working as a visiting scholar at Northwestern University in USA under the supervision of Prof. Lin X. Chen from September of 2014 to September of 2015. Bin Wang was a Ph.D student in Xi’an Jiaotong University. 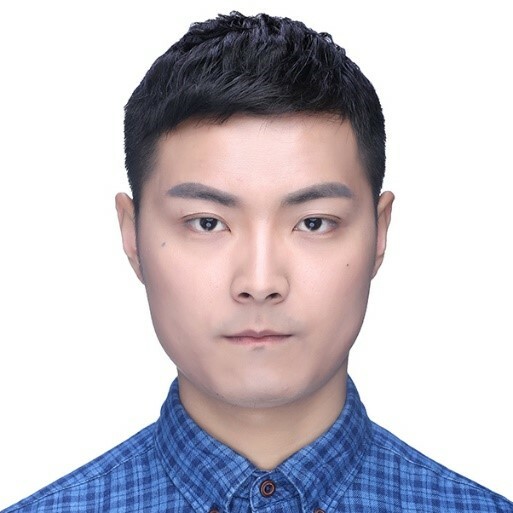 His research interests focus on morphology evolution of semiconductor nanomaterials and composite semiconductor, investigate the photocatalytic reaction mechanism investigation, enhancing the photocatalytic activity. Kai He was a Ph.D student in Xi’an Jiaotong University. His research interests focus on modification of metal sulfide for photocatalytic hydrogen production. Meng Wang was a Ph.D student in Xi’an Jiaotong University. 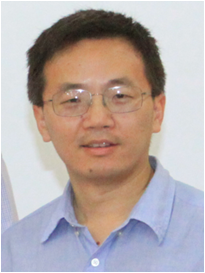 His research interests focus on synthesis of one-dimensional semiconductor films with heterojunction/homojunction structure and their PEC water splitting properties. From Sep. 2014 to Sep. 2015 he worked as a visiting scholar at the Cologne University in Germany under the supervision of Prof. Sanjay Mathur. Xixi Wang was a Ph.D student in Xi’an Jiaotong University. His research interests focus on sulfides nanomaterials for photocatalytic water splitting, focusing on preparation methods, heterostructures, photocatalytic mechanism. 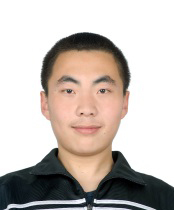 Now he is working at City Buses & New Energy Products Dept., ZHENGZHOU YUTONG BUS CO.,LTD as an Engineer. 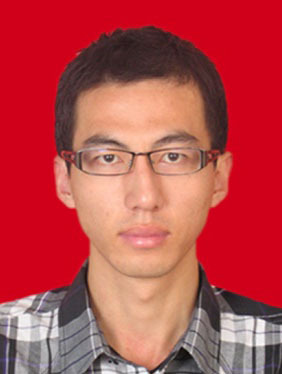 Jie Chen was a Ph.D student in Xi’an Jiaotong University. His research interests focus on polymer semiconductor graphitic carbon nitride, molecular photocatalysts, plasmonic photocatalysts, and oxide semiconductor photocatalysts for photocatalytic hydrogen production. He was a visiting scholar at the University of Wisconsin Madison, USA under the supervision of Prof. Song Jin for 2 years (from September 2015 to September 2017) awarded by the China Scholarship Council (CSC). Currently he is a post-doctoral researcher of King Abdullah University of Science & Technology. Yupeng Yang was a Ph.D. student for Thermal Engineering. His research interests focus on the Dead-ended Anode Proton Exchange Membrane Fuel Cells. Xiaokang Wan was a Ph.D student in Xi’an Jiaotong University. His research interests focus on inorganic metal oxides, such as bismuth vanadate, based photoanode for PEC water splitting and the mechanism study. Yang Zhang was a Ph.D student in Xi’an Jiaotong University. His research interests focus on modification of ATP for photo-fermentative hydrogen production. He was a visiting scholar at Department of Biology, University of Pennsylvania, Philadelphia, PA, USA under the supervision of Prof. Fevzi Daldal for 1 year (from September 2016 to September 2017) awarded by the China Scholarship Council (CSC). 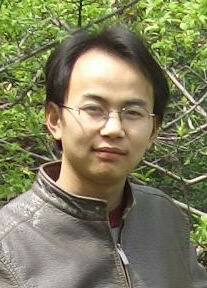 Jianan Chen was a Ph.D student in Xi’an Jiaotong University. His research interests focus on the synthesis of one-dimensional TiO2 nanostructures as well as quantum dots sensitization for high efficiency PEC water splitting photoanodes. 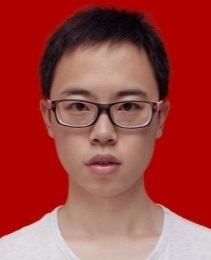 Jian Wang was a PhD student in the IRCRE at Xi'an Jiaotong University. His research focuses on design and synthesis of hematite powders and photoelectrodes and investigation of their fundamental properties and potentials for solar energy conversion. He was a visiting scholar at MIT, Department of Materials Science & Engineering, Cambridge, MA, USA under the supervision of Prof. Harry Tuller for 1 year (from September 2016 to September 2017) awarded by the China Scholarship Council (CSC). Yankuan Wei was a Ph.D student in Xi’an Jiaotong University. His research interests focus on synthesis of nanomaterials and semiconductor nanomaterials for photoelectrochemical water splitting. 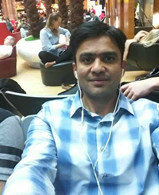 He was a visiting scholar at Rice University, Department of Electrical & Computer Engineering, Houston, TX, USA under the supervision of Prof. Isabell Thomann for 1 year (from September 2016 to September 2017) awarded by the China Scholarship Council (CSC). Xu Liu was a master student in Xi’an Jiaotong University. 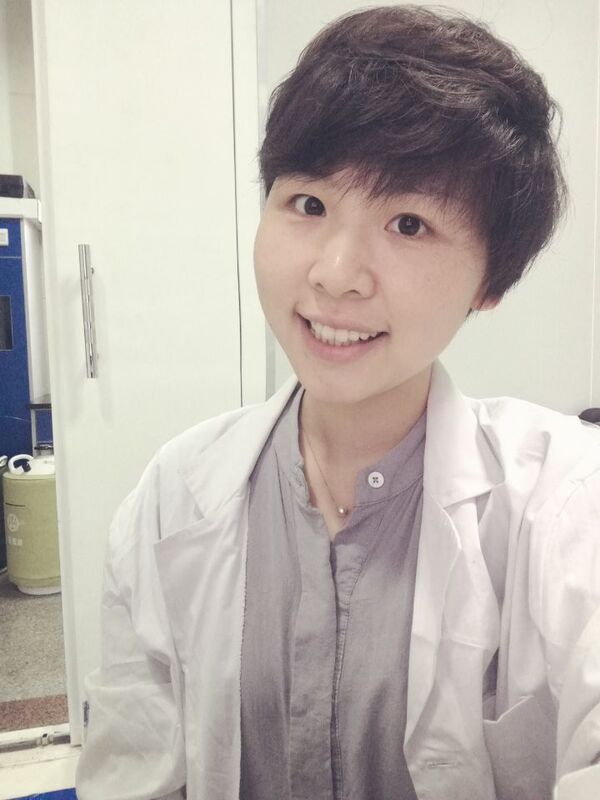 Her research interests focus on using electrospraying pyrolysis process to fabricate a series of high efficiency and low cost nanostructural BiVO4 thin films with one-dimensional arrays structure as well as other heterojunction. And develop a new approach to improve photoelectrochemical water splitting efficiency and new electrode structure. She's now a full time PhD student at the University of British Columbia, Department of Mechanical Engineering in Vancouver, Canada under the supervision of Prof. Walter Merida. Bo Feng was a master student in Xi’an Jiaotong University. His research interests focus on metallic oxide catalyst films (Fe2O3, TiO2) and relevant modification for photoelectrochemical water splitting for hydrogen production. Now he is working at Shanghai Electric Power Co., LTD in Shanghai City. Li Bai was a master student for Power Engineering. She was mainly engaged in hydrogen production by biological processes. Now she is working at Fountain Medical Development Co., LTD in Shanghai City. 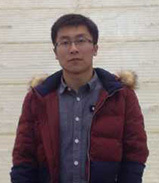 Li Wang was a master student for Thermal Engineering. He was mainly working on catalysis in hydrogen production by thermochemical water decomposition. 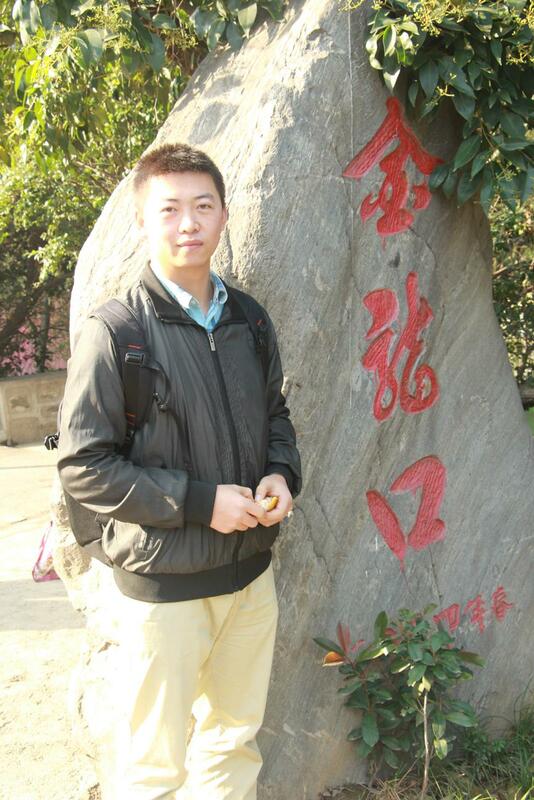 Jiandong Zhou was a master student in Xi’an Jiaotong University. His research interests was to enhance heat transfer by nanofluids. 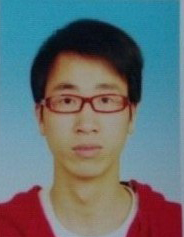 Dongxing Song was a master student at Xi'an Jiaotong University. His research area was nanofluids, which includes the interactions between nanoparticles and base fluids, thermal conductivity, viscosity and optical absorption coefficient in nanofluids. Both theoretical and experimental methods were employed to investigate the nanofluid properties of in his study. 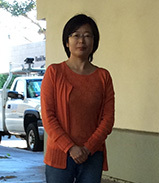 Wenli Li was a master student in Thermal Engineering. She was mainly working on fuel cell research. 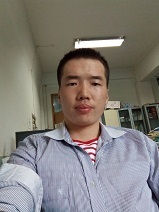 Kui Luo was a master student in Xi'an Jiaotong University from 2015 to 2018. His focus was on thermo-chemical research in water-boiled-coal process to improve its efficiency and reduce pollutant emission by optimizing the technological parameters involved in this process. 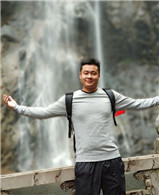 Jing Yang was a master student in Thermal Engineering from 2015 to 2018. Her study field was focusing on the supercritical water oxidation of solid waste. 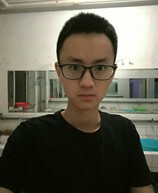 Xinyu Wang was a master student in renewable energy from 2015 to 2018. Her work was focusing on biohydrogen production. 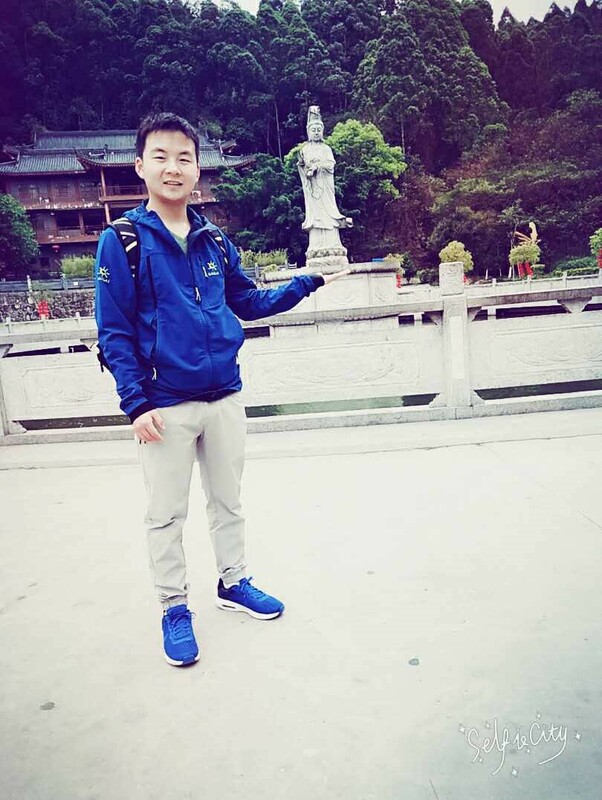 Jinfeng Du was a master student in Xi’an Jiaotong University from 2015 to 2018. Her research interests mainly focus on nanoclusters. 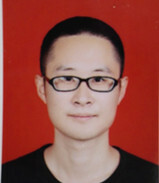 Haijuan Jia was a master student for Thermal Engineering. She was mainly working on fuel cell research. 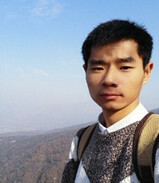 Yangyang Han was a master student for Thermal Engineering. She was mainly engaged in fuel cell research. Xiao Zhang was a mater student for Thermal Engineering. He was mainly engaged in photoelectrochemical water splitting. Fan Du was currently a master student in Xi’an Jiaotong University. 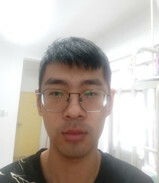 His research interests focus on using electrospraying pyrolysis process to fabricate a piezoelectric nanogenerator based on PZT nanofiber and PZT nanostructural PZT thin films with one-dimensional arrays structure. 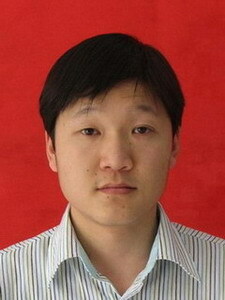 Yufeng Li was a master student for Thermal Engineering. He was interested in the research of solar power and photoelectric catalyzed hydrogen production. 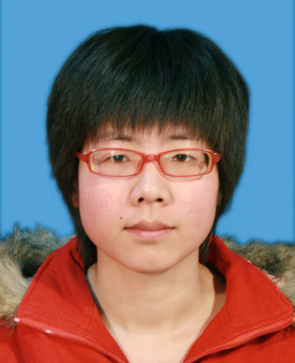 Jialing Xu was a master student for Thermal Engineering. He was mainly working on catalysis in hydrogen production by thermochemical water decomposition. 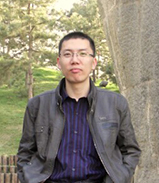 Jian Pang was a master student in Xi'an Jiaotong University. 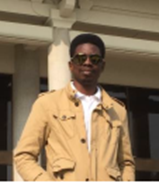 Abayomi Emmanuel Femi was a masters student in Xi’an Jiaotong University. His research focus was synthesis performance evaluation of solid oxides for solar energy storage via thermo-chemical cycle. 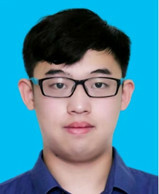 He was a scholarship student in the department of Renewable Energy in Xi’an Jiaotong University, China, under the supervision of Associate Prof. Jinwen Shi and Prof. Youjun Lv for 2 years (September 2015- July 2017) awarded by the ministry of commerce (MOC). 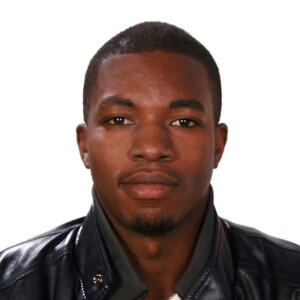 Mustapha Sannoh was a Master student in Xi’an Jiaotong University. His research interests focus on Comprehensive Analysis On Energy Consumption Patterns in Sierra Leone. He is a Programme Officer Energy Efficiency in the Ministry of Energy, Government of Sierra Leone since 2013. Over and above that, he holds a Bachelor of Science with Honours (B.Sc. Hons.) degree in Energy Studies with specific focus on design and evaluation of Renewable Energy and energy efficiency. He has completed certificates of training in United Kingdom Met Office Introduction to Meteorology course (September 2013), and Certificates of training in Solar PV Installation by UNIDO (2013), Certificate of training on Homer Software for Renewable Energy Project Design (May 2014) and a certificate of training on Introduction to Renewable Energy by Solar Energy International (2014). He is currently the alternate Focal Point for ECOWAS Center for Renewable Energy and Energy Efficiency (ECREEE), a member of Renewable Energy & Energy Efficiency Policy Formulation committee in 2014, a member of National Energy Policy and Strategy Review committee, member of Barefoot women training college, committee coordinating the Mano River Union activities in the Ministry of Energy, Government of Sierra Leone. Xin Shen was an undergraduate student in Xi’an Jiaotong University. His research interests include mechanism study and simulation of photocatalysis and photoelectrochemical water splitting. He is currently a Ph.D. student at Yale University under the supervision of Prof. Shu Hu. 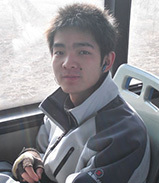 Tianyu Zhao was an undergraduate student in Xi’an Jiaotong University. His research interests focus on Multiphase Flow and Heat Transfer in Biomedical Engineering. After graduation, he pursued PhD Degree in the Department of Information Engineering in The Chinese University of Hong Kong (CUHK) (2017-). 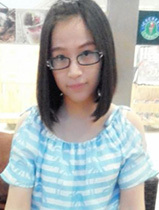 Wenhui Tang was an undergraduate student in Xi'an Jiaotong University. She has conducted researches about computational natural convective heat transfer, perovskite solar cell and saturate steam. She was awarded the Outstanding Student of XJTU (10 undergraduates per year). Now she is studying at Massachusetts Institute of Technology as a master student. 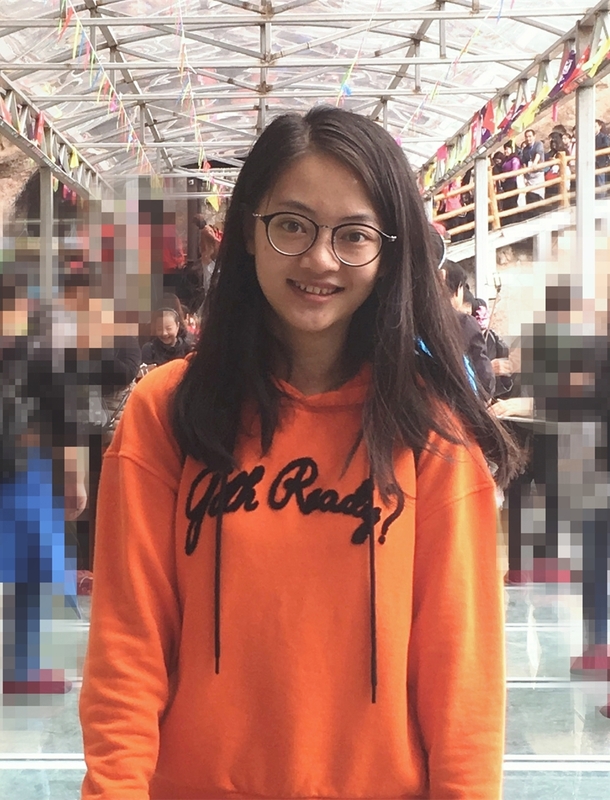 Yuchen Pu was an undergraduate student in Xi’an Jiaotong University from 2014 to 2018, majoring in New Energy Science and Engineering. His research interests focus on the simulation and calculation about the photocatalysis and photoelectrochemical water splitting. He obtained national second prize of CUMCM in 2016, and obtained national first prize of Contest on Energy Saving and Emission Reduction in China in 2017. Jing Hai was an administrative secretary of International Research Center for Renewable Energy, State Key Laboratory of Multiphase Flow in Power Engineering, Xi'an Jiaotong University, China. She is currently an administration secretary of Ye Kai Young Scientists Studio, the school of Electronic and Information Engineering, Xi'an Jiaotong University. Yanyan Hou was an administrative secretary of International Research Center for Renewable Energy, State Key Laboratory of Multiphase Flow in Power Engineering, Xi'an Jiaotong University, China.